Infrastructures (ISSN 2412-3811) is an international scientific peer-reviewed open access journal published quarterly online by MDPI. MDPI has supported academic communities since 1996. Based in Basel, Switzerland, MDPI has the mission to foster open scientific exchange in all forms, across all disciplines. Our 203 diverse, peer-reviewed, open access journals are supported by over 35,500 academic editors. We serve scholars from around the world to ensure the latest research is freely available and all content is distributed under a Creative Commons Attribution License (CC BY). The important point is that the article was peer-reviewed, so one can have confidence that their methods and data analysis are in line with current accepted standards. The authors are scientists and post-docs from the EPA National Risk Management Research Laboratory and a hydrologist from the US Geologic Survey Michigan-Ohio Water Research Center. Why did I read this article – I found it using a Google search meant to find studies of the effectiveness of rain gardens. Once I saw the system they had studied, I knew I had to somehow get through this article, even though my hydrology knowledge can fit in a drop of water. I’m not saying I understood everything in the article, so basically I’m going mostly by the authors’ summaries and interpretations of their data. 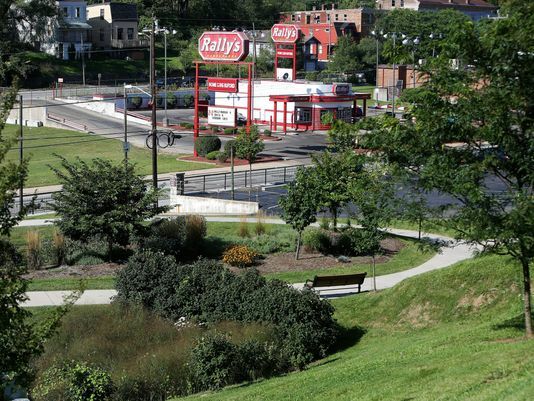 The project described in this article was at the St Francis Court Apartments in Cincinnati and was part of a city-wide effort to add green infrastructure to their parks system. 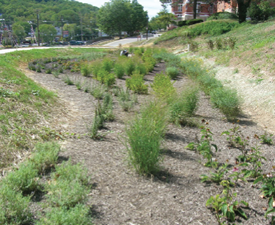 The focus of the paper was on infiltrative rain gardens – these are stormwater management practices meant to allow stormwater runoff to be redistributed back into the water cycle, while also detaining excess water so that its entry into the public stormwater system is delayed (thereby not exacerbating peak flow into the system). I have long hoped that these practices would be used more widely in suburban residential and commerical development, especially infill development – the only kind of development left in most places around where I live. Right now, the “accepted” standard is to dig gigantic holes and bury large plastic chambers with open bottoms (often referred to as Cultechs) which accumulate the stormwater and allow it to infiltrate into the ground underneath and around the chamber. While this is definitely better than allowing the stormwater to go directly into the sewer system, directly into streams, lakes and rivers, or directly onto the neighboring property, it doesn’t allow for evapotranspiration and doesn’t support plantings. In other words, the water is buried - it doesn’t re-enter the water cycle as it would naturally. I have often wondered who decided, and why, that trying to infiltrate stormwater into the subsoil that is present when you dig a 5 foot deep hole should become an “accepted” practice. No offense to engineers, but they need to start thinking outside of the Cultech. Whenever I’ve broached this subject of encouraging – yes, even requiring – landscaping (aka green infrastucture aka rain gardens) as part of the overall stormwater management practice in new development, it is said by folks like heads of Building Departments or Village Engineers that “rain gardens don’t work”. So I’m trying to find hard data that evaluates whether they work or not, and what factors affect their ability to infiltrate and detain stormwater. Just a quick reminder of what we’re talking about – the term “rain garden” tends to mean different things to different people. In Stormwater Management Guideline-speak, it would be referred to as a Bioretention Cell. A bioretention cell (rain garden) is an excavated area that is filled with a specialized soil media and plants. It is designed to temporarily store runoff volume in ponding areas, engineered rooting zone soils and gravel-ﬁlled underlayers. Rain gardens can re-direct excess water into other areas of the landscape, and rain garden vegetation returns water into the water cycle via evapotranspiration. 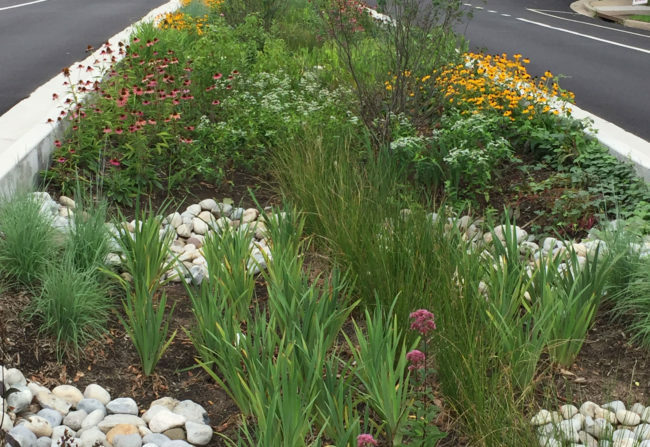 Rain gardens are among the most versatile green infrastructure stormwater management practices: They can be installed in a variety of soil types from clay to sand and in a wide variety of sites. 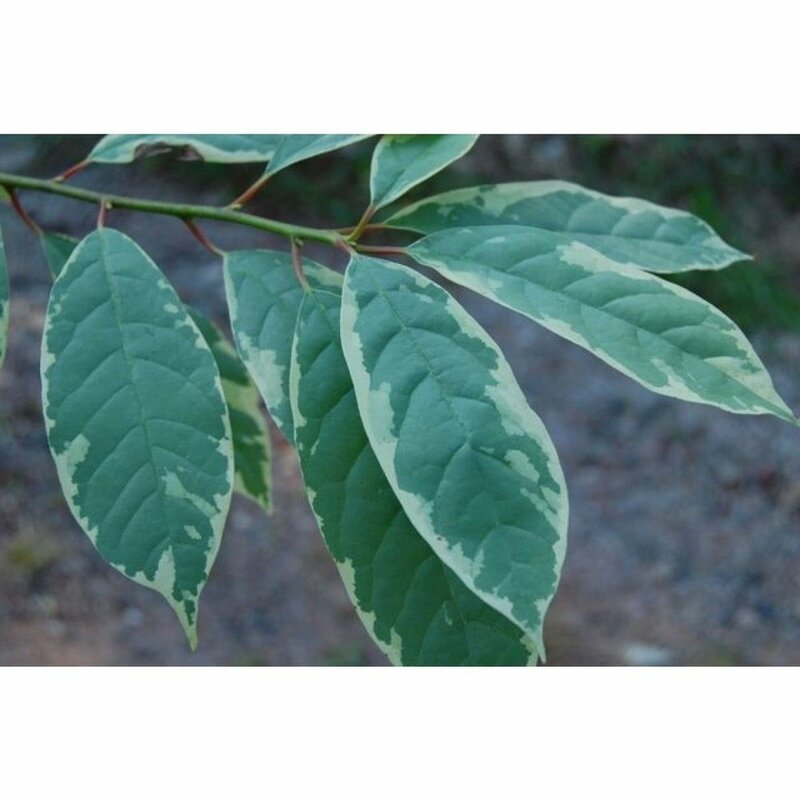 They are also quite effective for removing pollutants through a variety of different mechanisms, including infiltration, absorption, adsorption, evapotranspiration, microbial action, plant uptake, sedimentation, and filtration. Their overall goal is to combine inﬁltration and storage processes to manage at least the smallest and most-frequent storms. •	The garden is an excavated space that is filled back up with a specialized well-draining soil mixture. •	The depth and square footage of the garden, as well as those of the gravel layer underneath and the ponding area, are calculated based on the amount of rain to be expected versus the rate at which water can infiltrate into the underlying native soil beneath the special soil mixture. In other words, if the underlying soil drains slowly, the depth of the “holding” area needs to be larger. The math is a complex function how much water is coming in versus how much is draining out during the rain event. Eventually the rain will stop, so the underlying soil drainage rate will determine how long there will be standing water the garden. Luckily for us, there are computer programs that model this dynamic process, so you can change sizes and depths to accommodate the needs of your specific site. •	There needs to be a controlled overflow area that is defined within the design in case more rain enters the “holding” area than it can accommodate. Overflow from the rain garden should be directed onto a flow-attenuating surface– eventually this overflow may enter the storm sewer system directly or indirectly. •	The planted surface is covered with a fairly substantial layer of mulch – 3 inches or so – and the type of mulch used is important because you don’t want it to float away or wash away. The mulch is an important component because it prevents weeds as well as helping to retain soil moisture (since most of the time the soil in a rain garden will be dry). The mulch layer also protects the special rain garden soil from getting contaminated with mud or silt that might be present in stormwater runoff. •	There is generally a defined inlet into the rain garden – often a downspout extension is directed into the space or it may receive surface flow (or both). Wherever stormwater enters the garden there should also be some sort of flow attenuation mechanism to keep erosion within the garden to a minimum. 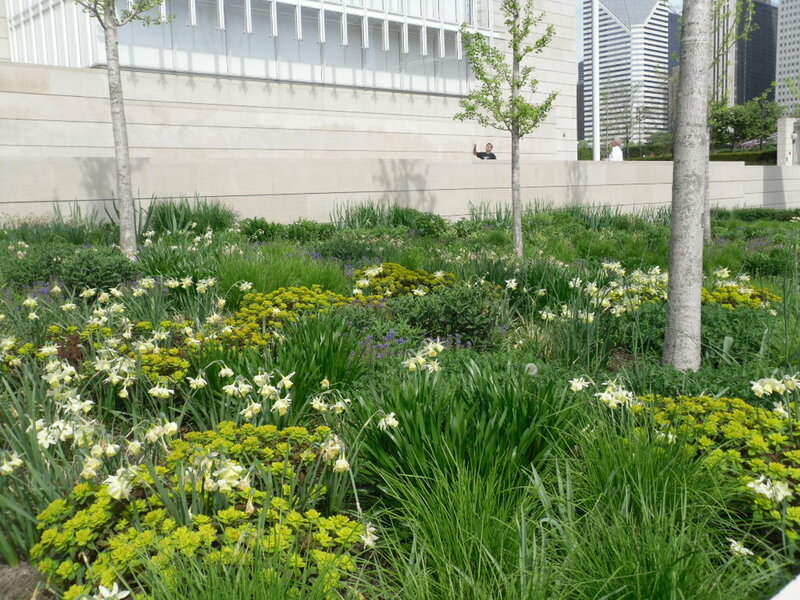 •	There are obviously lots of other design considerations for rain gardens that you want to be ornamental and not just for mall parking lots. Like the space should be shaped so that water flows into the deepest parts first so that it is maximally effective. And often dry river beds are incorporated into the design so that when its “empty” it still has some structure. Sometimes weirs are also included to increase the ponding volumes and to manage sloped areas. 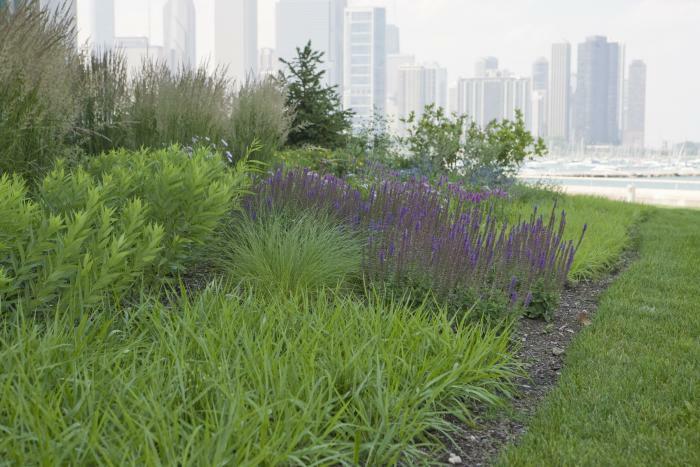 •	When done well, a rain garden becomes an element of the landscape design that contributes to the overall beauty of the space as well as allowing stormwater to re-enter the water cycle in a natural manner without causing erosion or flooding the neighbor’s yard. 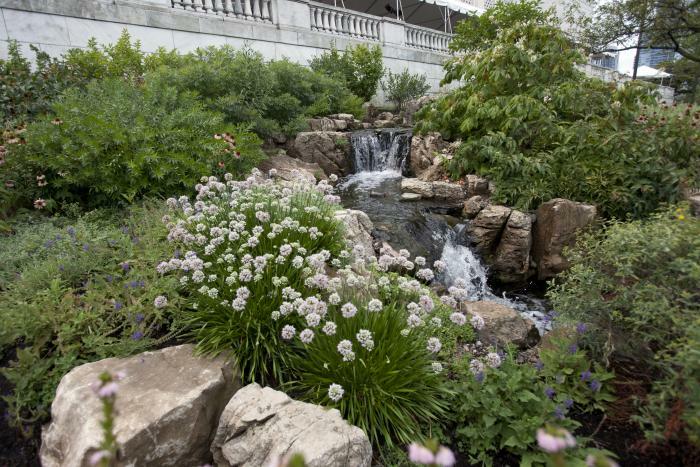 Each water-managing element contributes to the overall effectiveness of the rain garden. For example, the selection of rooting zone soil is a key part of the rain garden design process, as it regulates the movement of runoff volume into the gravel drainage layer. If the material is too permeable, retention time is short, possibly leading to immediate outﬂow conditions and adding to the stormﬂow burden in the sewer system. 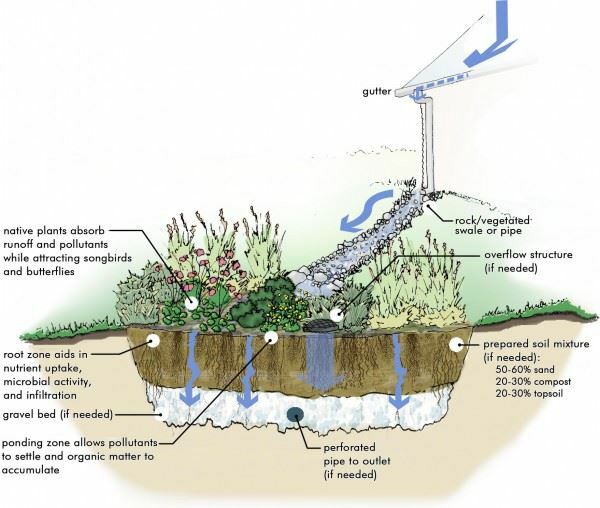 Alternately, if the soil proﬁle has low permeability, then drawdown times are increased, predisposing the rain garden to an overﬂow condition. Due to mulching and washing through of organic matter and soil particles, and development of soil biotic communities, the soil proﬁle in a rain garden is in a constant state of development, inﬂuencing soil hydraulics. Plants are integral to the success of rain gardens because their roots improve soil structure, thereby increasing infiltration rates. Plants used in rain gardens must be able to withstand widely varying soil moisture conditions, since rain gardens are often dry for long time periods, punctuated with periods of temporary standing water. 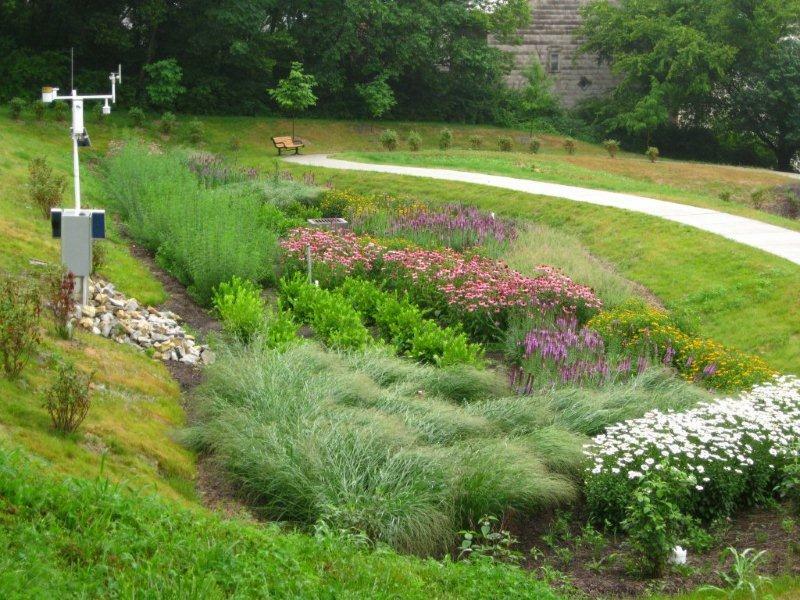 For this particular article, the authors followed a two-tier rain garden practice in Cincinnati OH for 4 years. The greater Cincinnati area has a humid continental climate pattern with approximately 40 inches of precipitation annually and average daily high temperatures of 28 degrees F in January to 75 degrees F in July. Description of the site and rain garden network: Note that in many ways this site is the worst case scenario for building a rain garden. 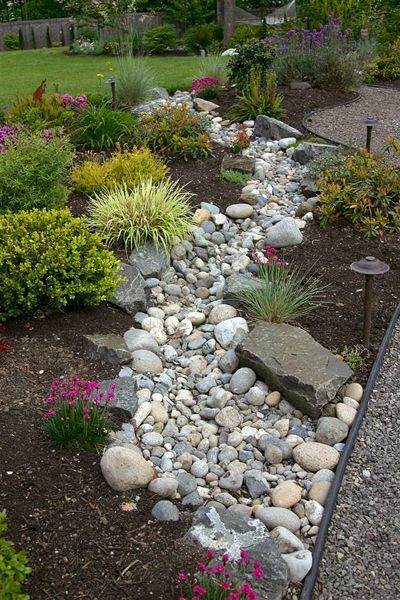 •	All of these ﬂows combine and are piped to an inlet in the upper rain garden. As runoff volume ﬁlls the upper rain garden, if storage capacity in the upper rain garden is ﬁlled, the excess drainage volume is conveyed to the lower rain garden. The rain garden system was built fall 2010 to spring 2011. It consists of of an upper rain garden (4,300 sf) and a lower rain garden (3,200 sf), and drains an area approximately 96,875 sf (2.2 acres) in extent. Each garden is bermed at its borders with the perimeter in turf slopes. This creates a bowl shape that has considerable surface storage capacity of ~9,430 cu ft and ~8,475 cu ft, for upper and lower gardens, respectively. The native soil under the gravel is a very-slowly permeable, cohesive silty clay subsoil with trace shale parent material and limestone fragments. Each garden includes PVC pipe underdrains that are wrapped in geotextile fabric and bedded into the gravel layer, and routed to drop box junctions. The upper garden drainage is conveyed along a pipe to the lower garden inlet. Lower garden underdrains are routed to its own drop box, and ﬂows from this box are conveyed to the city combined sewer collection system. Each garden was planted with generalist (drought- and ﬂood-tolerant) perennials and grasses (plant list shown at the end). This is an image I found on the internet on the website of a local newspaper taken in 2016 that I think helps to understand the site a bit better. This photo is taken from above the upper garden looking down to the lower garden. The city installed a curving path between the two levels to help folks navigate the space. At the bottom, you see the residential street, as indicated at the bottom of the diagram shown above. Based on 233 monitored warm-season rainfall events over 4 years, nearly half of total inﬂow volume was detained, with 90 percent of all events producing no ﬂow to the combined sewer. For a storm event that drove the rain gardens to release ﬂow to the sewer system (10% of all events), we found that the ﬂows into the local combined sewer system were delayed off-peak for an average of 5.5 h.
With the exception of areas immediately around the inlets, the initial plantings quickly established in the construction phase from 2011–2012, with canopy coverage in 2016 (4 years in to the operational phase) estimated at 97%. Although the thick surface mulch layer likely restricted evaporative loss, the amount of transpiration may have increased due to increased vegetative cover and presumably increased removal of soil moisture through likewise expanded root systems. Our analysis suggests that total event rainfall depth (an input) and evapotranspiration (a loss) are primary factors regulating ﬂows through the rain garden network. The upper rain garden at St Francis Apartments - inflow attenuation area is seen on the left side. Note the density of the plants. This photo was taken 2 seasons after the installation of the garden. We found that events with the largest ﬂows to the combined sewer system had high total rainfall depth delivered over longer durations (i.e., 24 h). This suggested that average event intensity was not as important as total event rainfall depth. The infiltration rate of the rain garden is four-times greater than that of the surrounding turf areas. 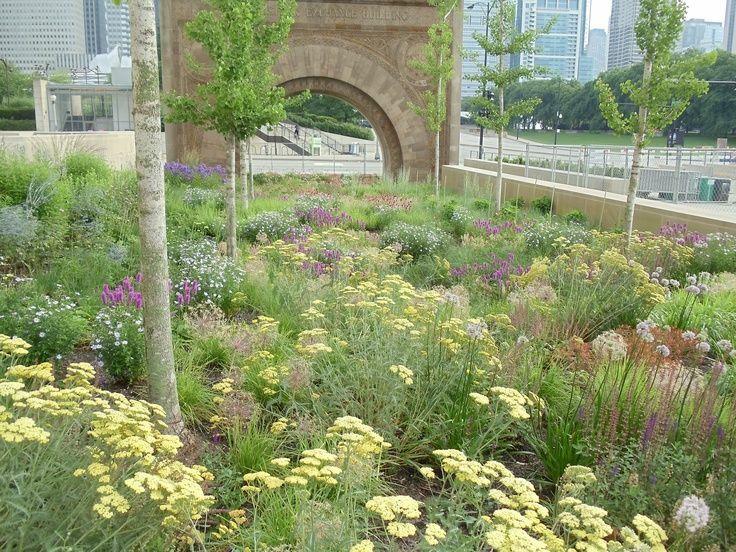 Comment: this is why rain gardens are better than grass! especially sloped areas of grass. Soil proﬁles developed over time, and the stratiﬁcation of the surface mulch layer was similar for both gardens. Serial, bi-annual mulching (2012, 2014) led to the development of a pronounced organic horizon in both gardens, which we attributed to the hardwood-chip mulch composting in place. Over the ensuing six years since construction, the surface horizons in both gardens stratiﬁed into the coarse, newer mulch layer that comprises the Oi horizon, which transitioned to the ﬁner, older layer of organic matter that deﬁned an Oa horizon. By 2016, the total organic layer thickness ranged from 4 to 13 cm, and 7 to 25 cm in the upper, and lower gardens, respectively. Conclusion: Soil structure improved over the years due to mulch composting in place. Also, the garden was only mulched once every two years in the beginning. This probably helped to allow plants to spread and fill in as they became established. We were particularly surprised that there was no evidence of degradation in upper garden inﬁltration rates, where the mass of sediment delivered ranged between 0.1 to 56 kg with a median of 8 kg per event. Overall, the upper rain garden acted as a ﬁne sediment ﬁlter, protecting the lower garden from sedimentation, such that the study-wide, event-wise maximum suspended sediment load into the lower garden was only 2 kg. This 75% decrease in ﬁne sediment loading is in agreement with other ﬁeld studies which reported 68 to 90% reductions in suspended sediment loads in networked rain gardens. Jenkins et al. observed that although the texture of rain garden surface soils was changed by settling of ﬁne sediments over an eight-year study period, inﬁltration rates did not change. Taken in the context of the present study, the speciﬁc composition and thickness of the surface mulch layer may regulate the impact of sediment load on rain garden hydrology. Based on our data, we speculate that sediments were well-dispersed in the vicinity of the inlet, and ultimately incorporated into the thick organic surface soil, where their impact on inﬁltration rate was minimized. Conclusion: The upper garden acted as a sediment filter for the lower garden. It seems that the mulch layer also may regulate sediment load. Bottom line: whatever sediment got in didn’t degrade infiltration over time. From a practical standpoint, the event peak depth (via crest stage gauges) was always lower than the maximum freeboard depth in either rain garden; total inﬂow volume for any event was insufﬁcient to ﬁll either rain garden. This suggests that a smaller proportion of each rain garden was active in inﬁltration and drainage processes. Given the amount of unused surface area (and hence retention capacity) in both rain gardens, future outﬂow events in this network may be better mitigated by increasing the usable area. Some practical approaches that may be generalizable to other rain gardens include: engaging the unused network storage volume via ﬂow-spreaders; facilitate movement of water to the perimeter by re-grading the gardens to create a slight slope toward the outer perimeter of each garden; and limiting the drainage area of underdrains to a close proximity near the inlet, forcing lateral water ﬂow (fully leveraging subsurface storage) once the maximum vertical ﬂow rate is attained. Conclusion: Their data showed them that only a portion of their rain gardens were “active” in the infiltration and drainage process. Also, they never overflowed their banks. They suggest some practical additions to rain garden design that would allow more of the garden’s area to be active, all directed towards filling the garden up more effectively (flow-spreaders; grading toward the outer perimeter; limiting under drains to closest to the inlets to maximize storage within the gravel underlayer). Although monitoring of volume reduction ended in fall 2015, ongoing 2016 measurements of soil structural and hydrologic characteristics indicate that soils were overall less compact, and had maintained or increased hydraulic conductivity. Given no other changes in the network, these measurements indicated that retention capacity and the overall operational dynamic of this rain garden network is stable. Retention of half of total inﬂow volume across four years of contrasting rainfall patterns is encouraging news for wastewater management with inﬁltration-type stormwater control measures. They work! and they’re stable! 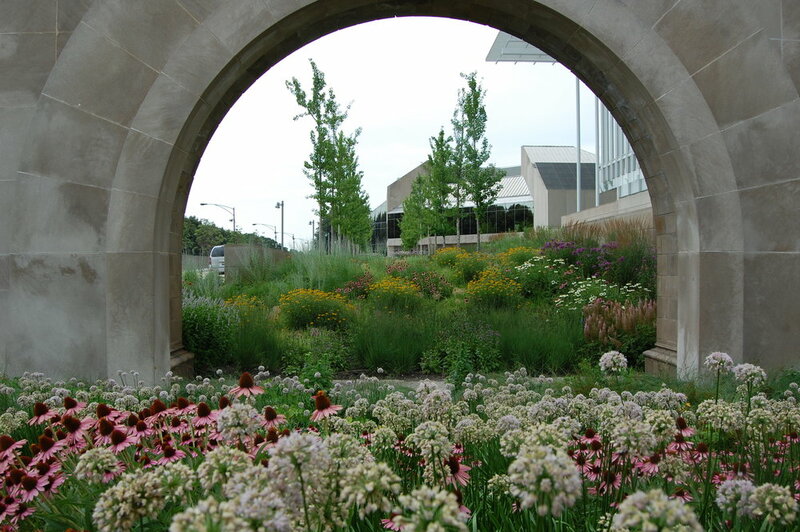 Rain gardens can be beautiful - install more of them people! Plant List for St Francis Rain Gardens - sweet and simple! Here's the letter I sent to our School District in 2015. Spoiler alert - nothing happened! "Our … gardens have a new mission - to fulfill the need for an affinity with Nature … In an age which has divorced itself from the life of the soil we need Nature's materials … – her sticks and stones and leaves, the stimulus of her proximity." These words are still as true as ever. Feeling connection to the earth, to the seasons, to nature is an important part of our and our children's well-being. I sent a letter this spring alerting you to the fact that 2015 has been designated the International Year of Soil by the United Nations. I had hoped (and still do!) that the topic of soil would be given a special focus in the science curriculum at all levels this year. Soil science is an interesting and complex field – it’s a combination of geology, physics, chemistry and biology, so it affords excellent STEM educational opportunities and you can even get your hands dirty while doing it! Your various District campuses have a lot of grass space (excluding fields) that takes time and water resources to maintain, not to mention the air and noise pollution caused by the mowers and blowers and the adverse effect of pesticides and fertilizers that are undoubtedly used on the grass. There is another initiative started in 2014 called "Bring Back the Pollinators" – a Xerces Society Conservation Campaign with a Million Pollinator Garden Challenge. Their campaign has a lot of the same "hooks" as your PACE car program – you sign a pledge, you get a sign and so forth. But, more importantly, you either preserve or create pollinator habitat before you take the pledge. You learn why that is important – because pollinators are essential to the reproduction of over 85% of the world’s flowering plants, including more than two-thirds of the world’s crop species. Without pollinators, there wouldn't be fruits and seeds for birds and mammals to eat. Pollinators are at risk from habitat loss, pesticide use, and introduced diseases. Especially in a Village like ours, it is important to include pollinator plantings wherever we can, because almost all of our land is developed, and on larger lots habitat is lost to lawns and swimming pools. On school property, habitat is lost to playing fields either made of plastic or groomed and mowed and seeded with a virtual monoculture of grass species. Why not take the initiative to decrease some of the "lawn" areas on the various campuses by planting pollinator garden strips? At the Main Street School, you could use the grassy hillside between the school building and Village Hall for a pollinator garden. Such a garden would help with stormwater management on that hillside, where an open 6-inch PVC pipe daylights at the top of the hill, causing erosion and probably putting the Village Hall retaining wall at risk – easy to design a pollinator garden that would slow that stormwater down. At Dow's Lane, you could turn part of the land where the trailers used to be into a pollinator garden. At the Middle School/High School campus you could plant a pollinator garden strip along the base of the conservation easement on the east side of Meszaros field. There could still be a strip of lawn next to the track for people to sit on, but behind it (and nearer to the road) could be pollinator habitat garden. Also, the area where the detention basin is on your right side as you come up the hill is all grass – some of that could be turned into habitat as well. Most of you probably realize that pollinator habitat gardens don't have to be intensively maintained once they are established. 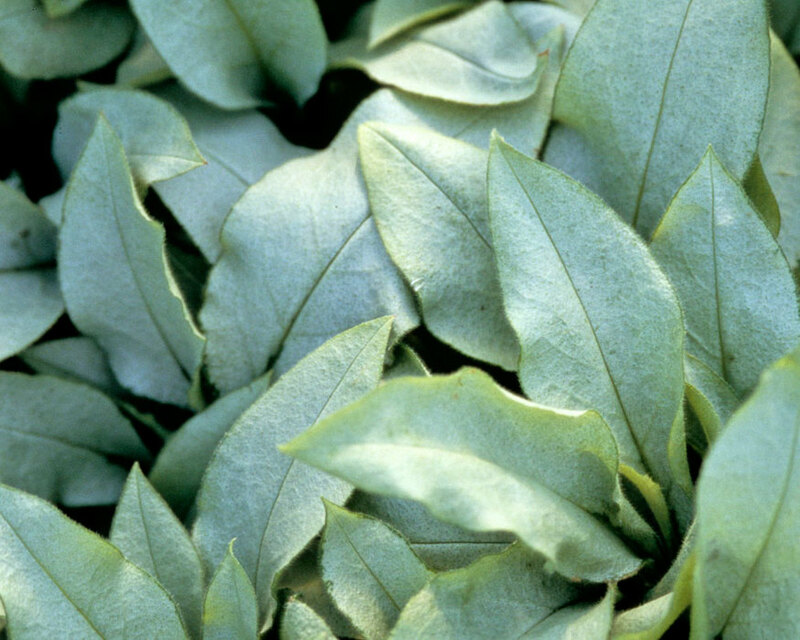 Most of the plants you will use thrive in poor soil – no need for compost or soil enrichment or whatever. 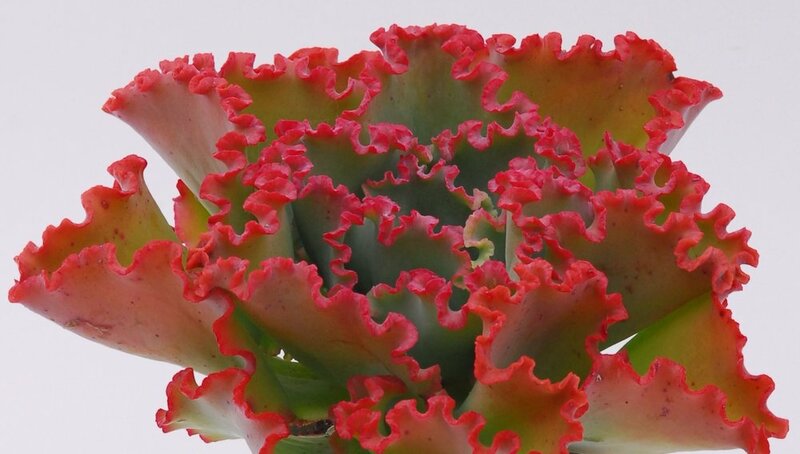 Most of the plants that you will use are also drought-resistant, so that once they have grown for a couple of seasons and established their root systems, irrigation wouldn't be required except in times of extreme drought. There's an example of this up at the O'Hara Nature Center – the Xeriscape garden that I designed was installed a couple of seasons ago. It is not fenced to keep critters out and it has no irrigation system. 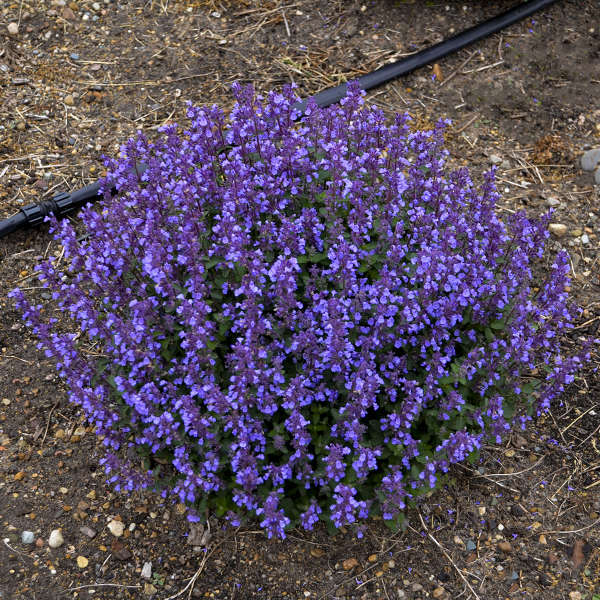 It was watered with a hose a couple of times last summer when it didn't rain enough and weeded a couple of times. It is planted only with native species. There are shrubs, grasses and flowering perennials. Most everything came back after the winter and there’s been relatively little browsing by deer or other critters. If there had been more money, a few small trees could have been incorporated and the planted density could have been greater to help keep weeds at bay. Have a look at it now – none other than Joe Archino commented at the last Village Board meeting that it looked amazing. It's not perfect, but it sure is exuberant (and full of pollinators)! Pollinator gardens don't have to be "messy meadows" or "look weedy" – they can be designed just as your home landscape is and have flow and interest. A pollinator garden is maybe even better than a vegetable garden for students, because the plants start to come back (if they're perennials or grasses), leaf out and many will flower in the spring, before summer vacation. Vegetables really come into their own during the summer, when the kids aren't around – you can't even plant seeds outside until mid-May. A pollinator garden will still be flowering in fall when school starts again – in fact their fall look can be very beautiful if plants are selected for fall foliage color. You can pick the fall leaves and extract the color pigments and separate them out on a gel in chemistry lab. You can make art from the colored leaves. You can use the garden for photography class. The gardens don't have to start out big. Think of them as "demonstrations" at first, just as was done at the Nature Center. Once you and the school kids see how cool it is, they will want to enlarge it over time. And that can be a science project in and of itself with continuity year to year. This is a circle garden in Tarrytown down by the river with no irrigation and no fencing. 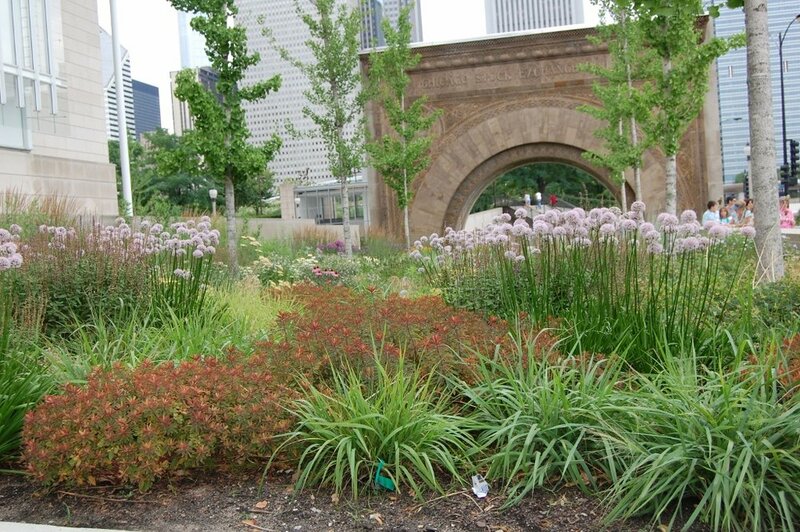 It is planted with a simple palette – three different species of ornamental grasses with different heights and habits, Joe Pye weed and Verbena bonariensis. 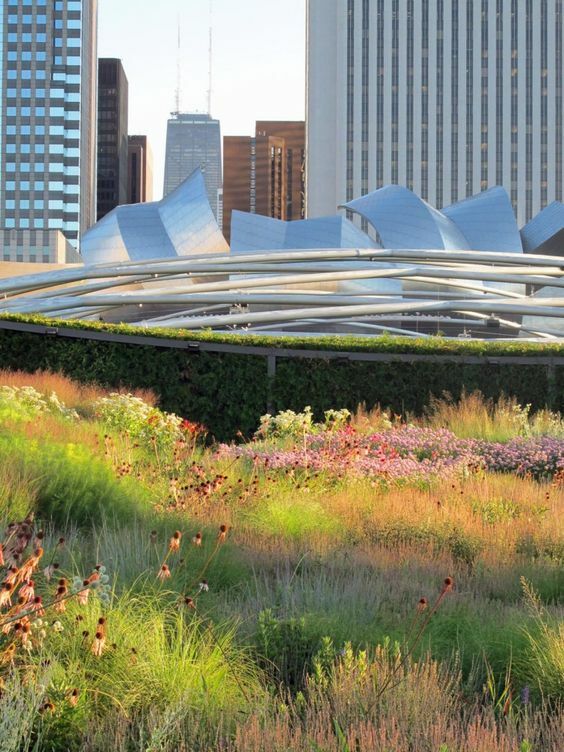 The pattern in which the grasses and flowers are planted provides the flow – the grasses provide structure, color, texture and motion in the wind. Here's the pollinator garden at Stone Barns along the main driveway. It happens to also be a stormwater management bioswale. 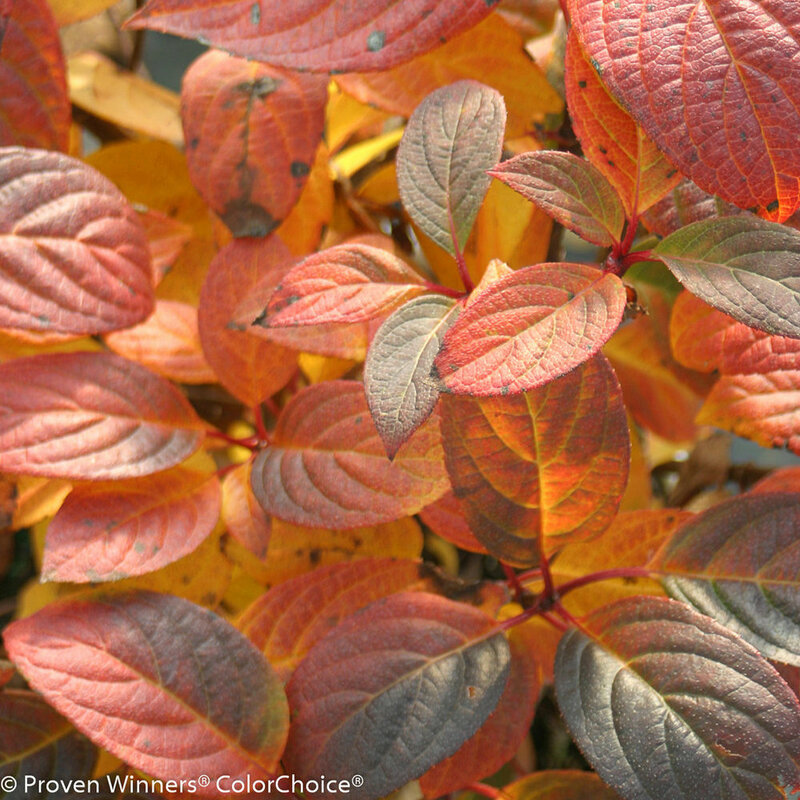 The showy fall color is from sumac, a native shrub with prominent seedheads beloved by birds who use them as winter food. The High Line – Quintessential example of pollinator paradise in the middle of the city in a confined space – the plant list for that garden is available on line so it should be easy to find good plants to use. I'd be happy to share my enthusiasms in further discussions if you want. First, the Year of Soil came and went with not so much as a whisper of studying it in our schools. Don’t you think our kids should learn about soil? Do you think any of them know how complicated soil is or why its important to the world? Second, the Million Pollinator Garden Challenge has since achieved its goal - so there are more than a million new pollinator gardens out there. That’s a good thing! You can’t get the signs any more, though, unless you contribute $55. Third, we have indeed started improving our Main Street streetscape. We’re finding that the logistics of traffic calming measures are more complicated than first thought. But, nevertheless, drive down Main Street and check out Village Hall and its new plaza and plantings (designed and installed by the Ann Acheson Landscape Design, Christina Griffin Architect and Cronin Engineering Team). We may see a butterfly there yet! Fourth, the Xeriscape Garden I spoke about has since become overgrown with weeds then painstakingly cleaned up several times. It now has an “official” gardener taking care of it - Bravo! - so I’m happy. I’m still pretty proud of that garden, I have to say. Fifth, the Tarrytown grass garden I showed the picture of has since been neglected and several cars/trucks have run over parts of it. For the most part, the grasses are still there, so the garden still “reads” not too badly from a distance. But the moral of the story is that gardens in public spaces need to be “owned” by someone and weeds have to be kept at bay. That, my friends, is why there’s so much grass in public spaces - you can’t mow a garden - or CAN YOU? Remember, a Roy Diblik garden can be mowed once in March and then left alone for the rest of the year. But of course that’s only after its been designed by someone with knowledge of the appropriate plants and allowed to establish itself while being tended to. Sixth, the school district decided to install paving instead of landscaping in the small central courtyard on the Middle/High School campus because the grass wouldn’t grow and whatever landscaping was there died. Couldn’t they have challenged their students to come up with a solution? Our kids need to be connected to the earth, not to artificial turf and asphalt. Moral of the Story: Irvington School District listen up! Do some landscaping and involve the students! But their approach seems to be paying off, and I can only conclude that its because their testing and quality control measures live up to their marketing skills. OK, lets be honest, it does feel good when you show up at client’s house with plants in the distinctive white Proven Winners containers – after all it tells the client that the plant is a winner and maybe you’re a bit of a winner as well. They cost a bit more – sometimes a lot more – so what are you paying for and how have they been proven to be “winners”? They also explain their sustainability practices, including ensuring that their branded containers can be recycled by the homeowner in their normal recycling stream. •	Saving water: Proven Winners greenhouse facilities recapture and reuse significant amounts of water. Many of our greenhouse facilities are equipped with flood floors that reuse water. Also, in our production process we group plants according to water needs and soil type, allowing us to deliver the right amount of water needed by each plant – resulting in little waste. And, our high tech watering systems reduce overall waste of water and fertilizer. 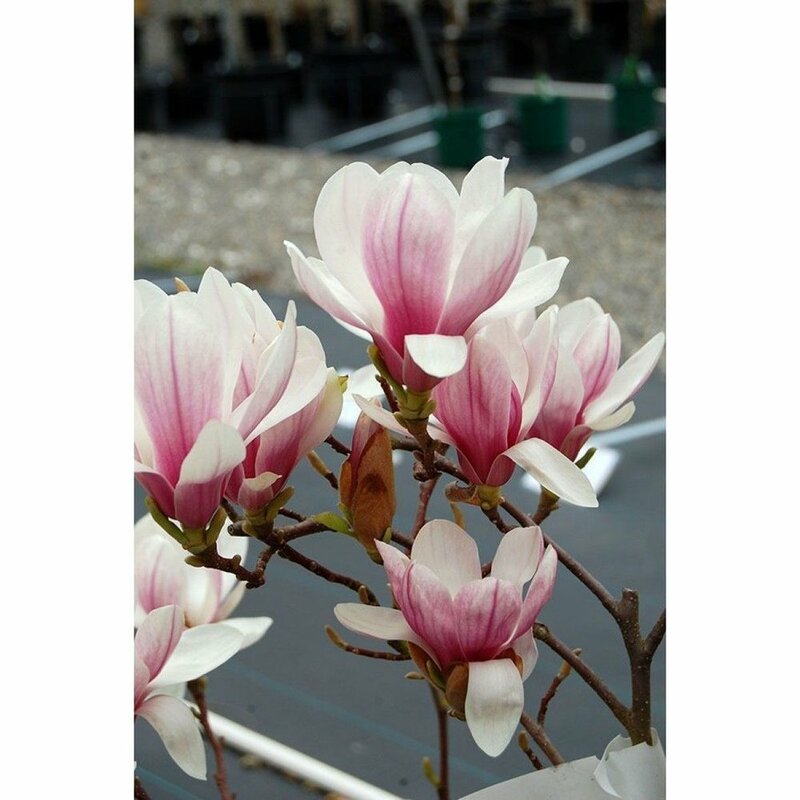 •	Shipping More Locally: Proven Winners companies are located strategically throughout North America to provide young plants to finished growers that can serve their own local retail markets. This means that finished plants do not need to travel far to reach the end consumer. Sustainability is what has sometimes been lacking in the green industry, so their practices are important and impressive. I imagine that all of these measures contribute now, or will in the near future, to managing the bottom line and to ensuring that plants arrive at their destinations more alive than dead. I guess for me the bottom line is this: I don’t believe that there is necessarily a “right plant for all places” - I think that kind of “Home Depot”-like mentality can be dangerous. All places are different, so our plant knowledge has to be broad and deep in order to be successful. 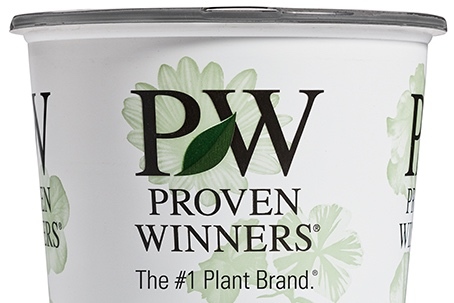 But Proven Winners plants are high quality, healthy and you usually can’t go wrong if you choose one. 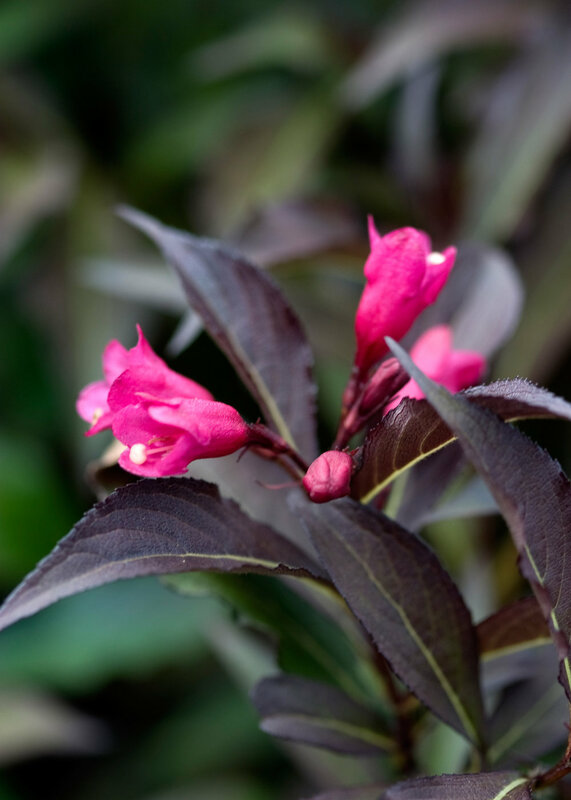 Visit the website to see information about these plants. 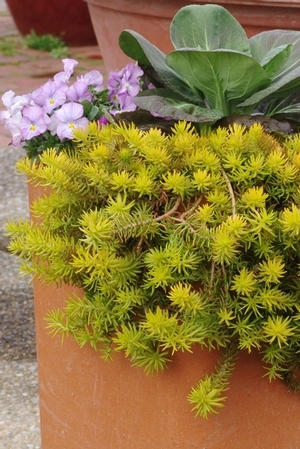 Chartreuse foliage; same Sedum species as ‘Anglelina’. PW describe it as growing up to 10” tall and 14” wide. 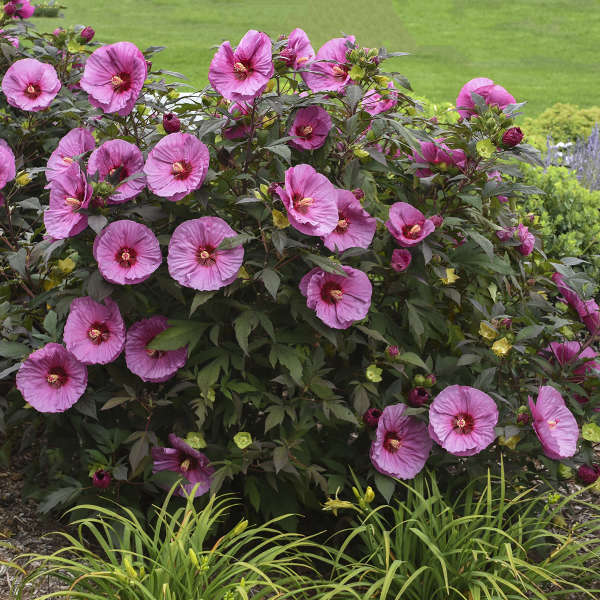 Perennial hibiscus is a really great addition to moist areas in a sunny garden bed. 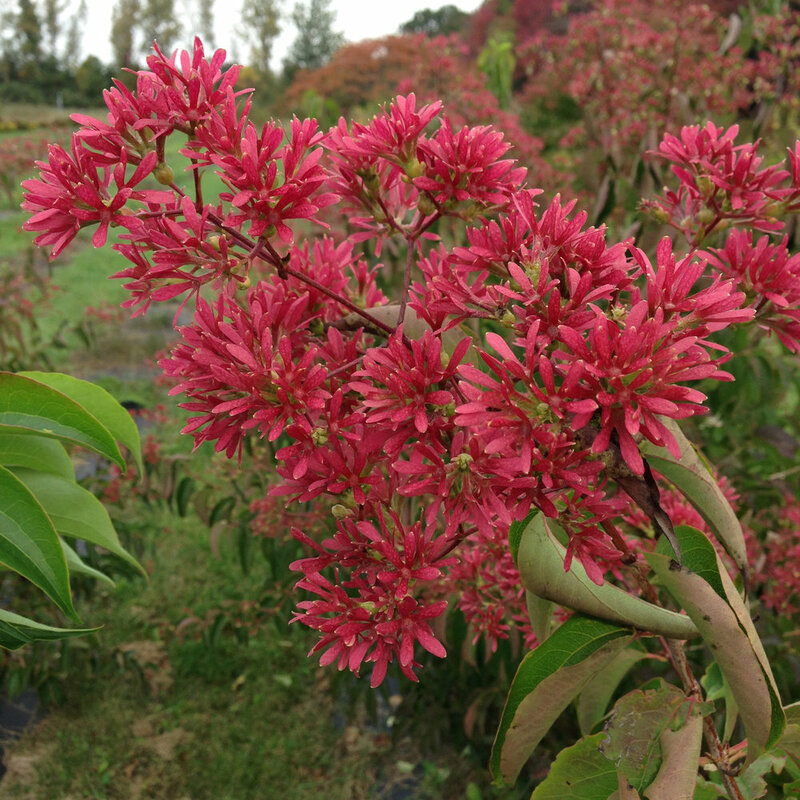 Fast growers like this cultivar are prized because they have some “presence” in the summer before they bloom. 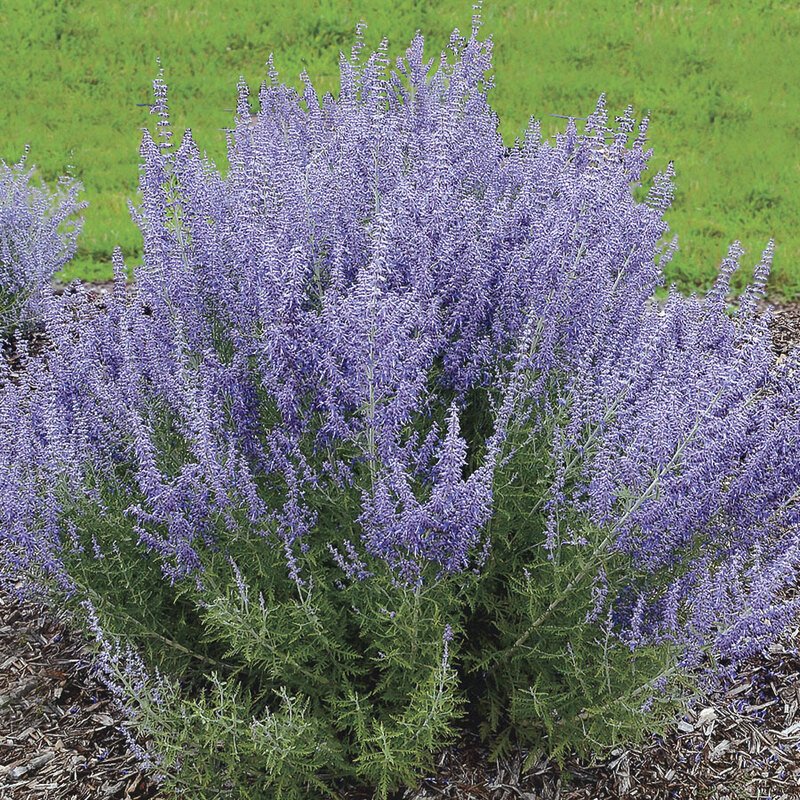 This one has lavender flowers – a nice addition to the white- or red-flowering versions that are commonly planted. 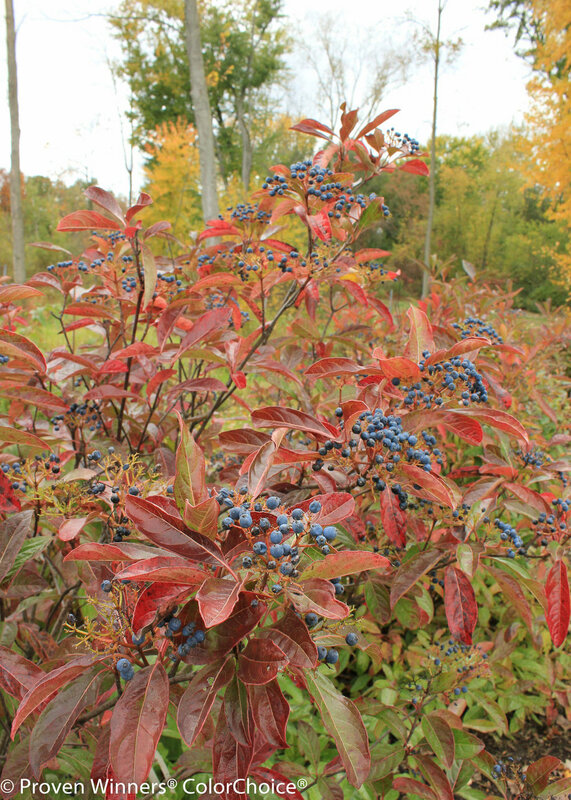 Aronia is a native plant workhorse – not overly showy but with its moments – like great fall color and berries for the birds. 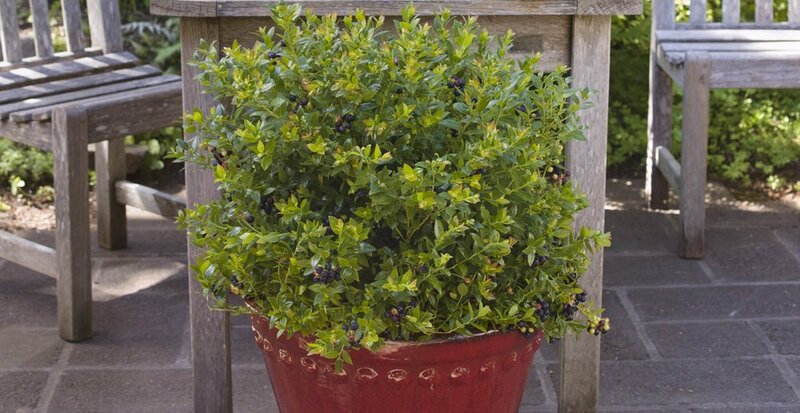 This particular cultivar is described by PW as only growing “to 24” tall and 26” wide, doesn’t require pruning.” This would be a welcome addition to large areas where lots of shrubs are being planted – less pruning makes eveyone happier and the plant will also pack more bang for the buck in terms of fall color and berries because it is more compact. 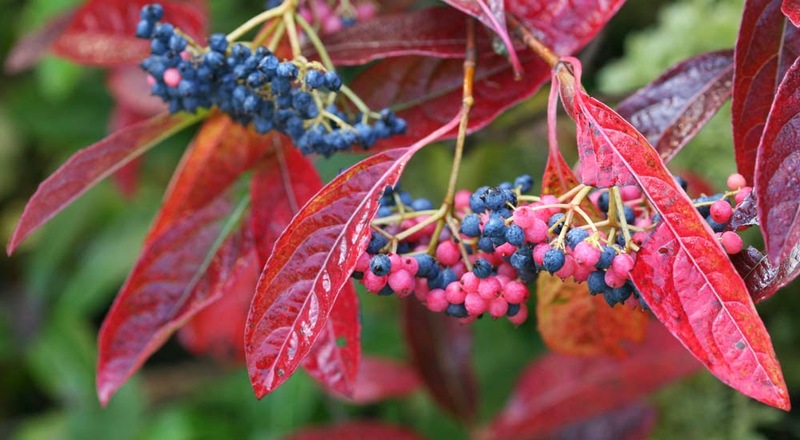 This cultivar has been available in the Niursery trade for a couple of years and has made me willing to plant aronia again. 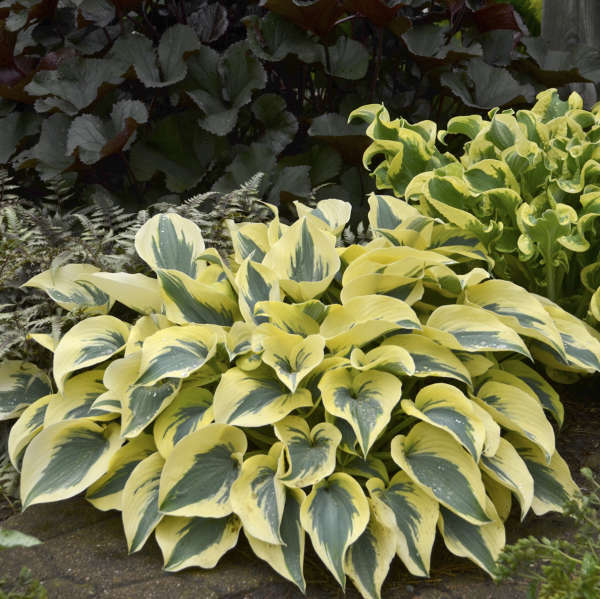 Mostly we can’t install hostas because of deer predation, but when we can we always love a new and interesting color and habit. There isn’t anything that adds more beauty to a shade garden (except hellebores) – although hostas do turn to snot at the first frost. A fragrant Knock-Out-like rose? 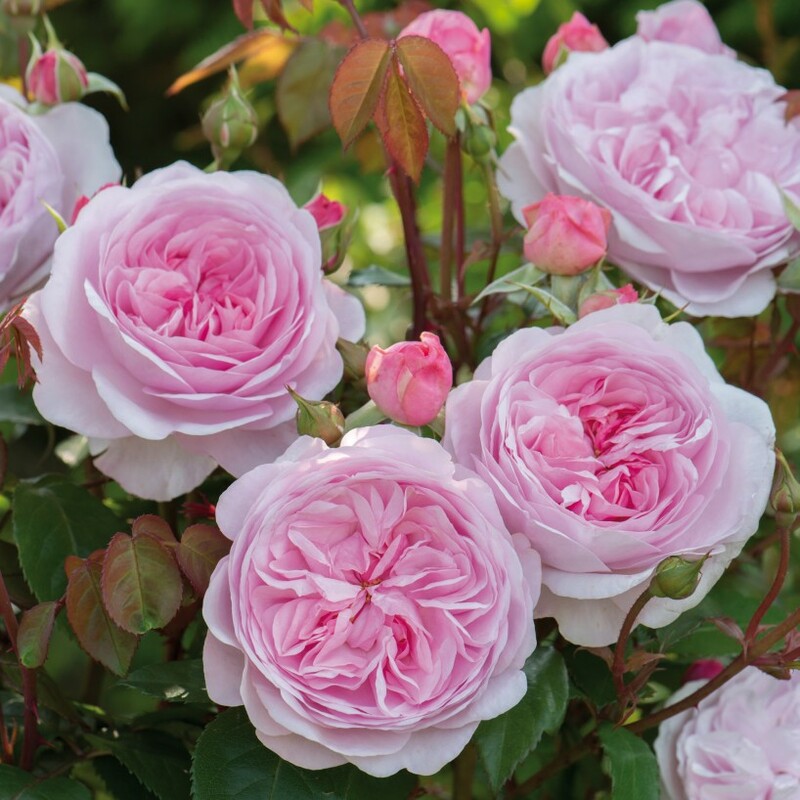 This is the holy grail for many landscape designers, who want the reliability, disease resistance and flower power of Knock Out roses and have resigned themselves to no fragrance. But I say – why have a rose if it isn’t fragrant? Maybe this cultivar will do the trick … worth a try certainly. At first I said to myself - do we really need another two-tone PG hydrangea?!? 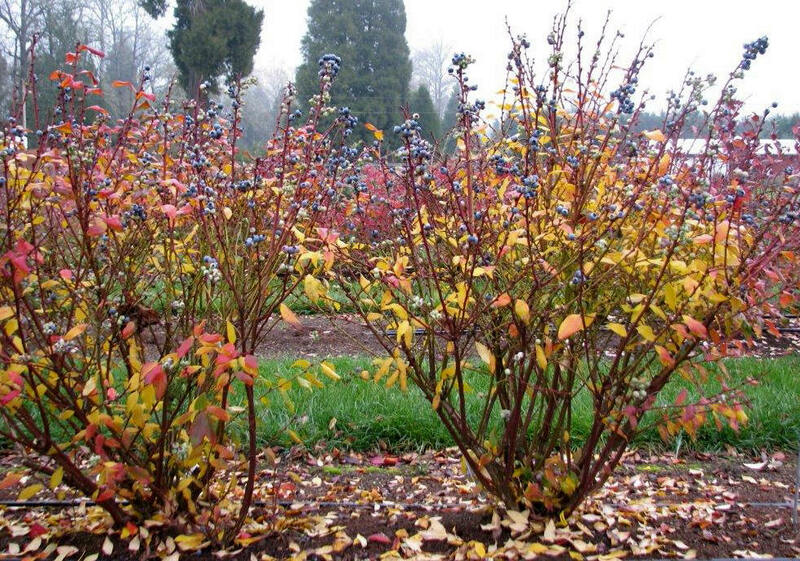 I was leaning towards saying no, we don’t, until I saw the pictures of this variety in one of the test gardens posted by Tim Wood whose trial gardens are in Michigan. It made all the others around it look pretty weak (thats the third picture in the series below). Fire Light gets pretty huge (up to 6' tall and 6’ wide) but has strong stems that hold the flowers upright. 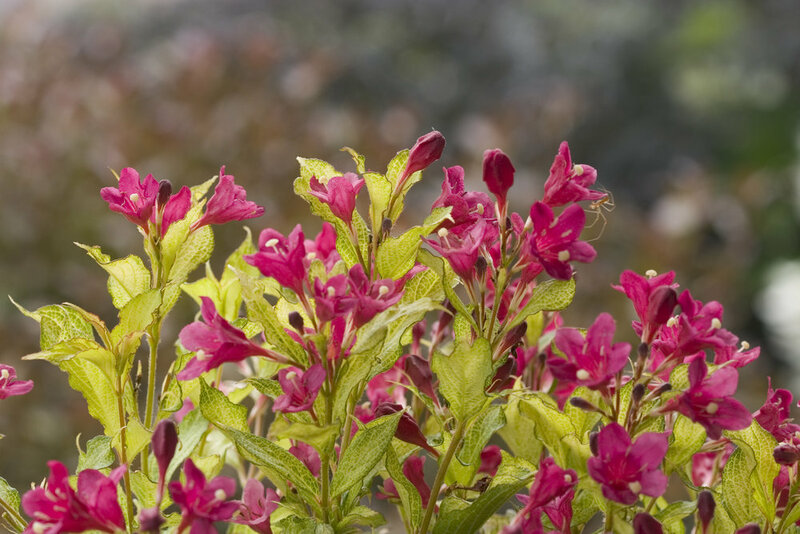 Weigela is definitely an “old-fashoned” shrub– its lovely in bloom but has an unruly habit that demands regular pruning. The flowers are nice, but the rest of the plant is pretty boring. One thing it has going for it is that deer don’t seem to favor it. 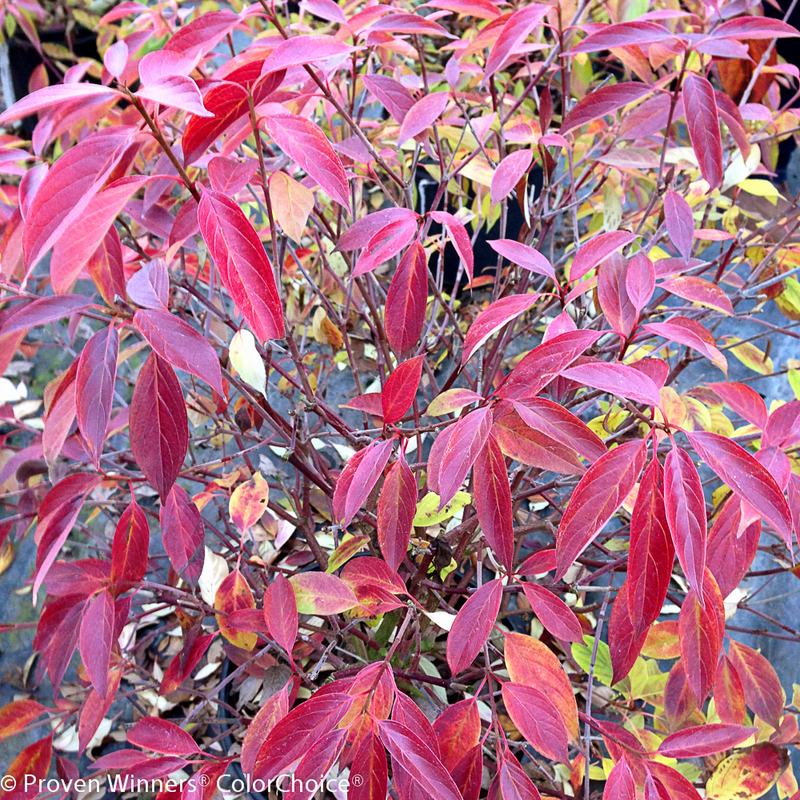 I’ve planted a couple of different Weigela cultivars over the last few years – those with colored leaves and/or compact habits. 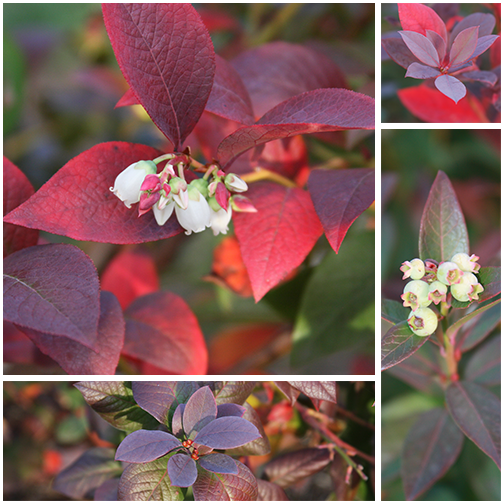 Ideally, the burgundy-leafed cultivars could take the place of ‘Concorde’ barberry – I’m still not totally convinced of that although I don’t plant barberry anymore anyway. This new series of “Sonic Bloom” weigelas from PW are said to rebloom “strongly” from midsummer to frost. 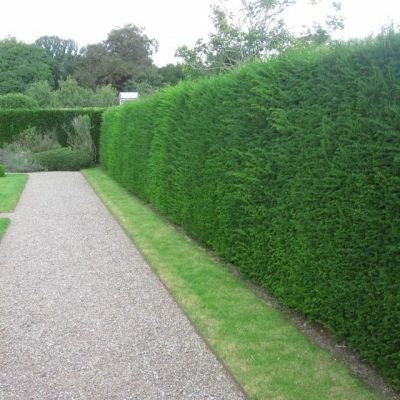 That would be a good thing for a shrub border. (IF they really do rebloom - the boomerang (bloomerang?) lilacs seem less than impressive where I’ve used them). 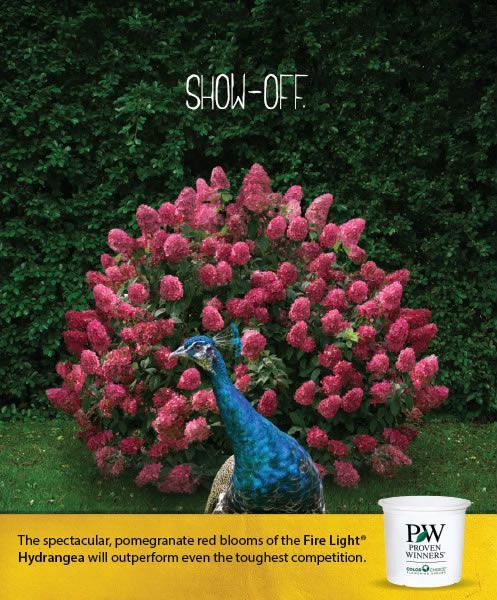 PW cultivars are: Ghost®, Pearl, Pink, Pure Pink and Red. Stachys monieri ‘Hummelo’ (Hummelo Betony aka Lamb’s Ears) is a low-growing perennial that thrives in sun to part-shade and well-drained soil. It is a cousin to the perhaps more familiar form of Lamb’s-Ears, Stachys byzantina (fuzzy, silvery large leaves and flowers that a lot of people remove right away) but not at all similar. 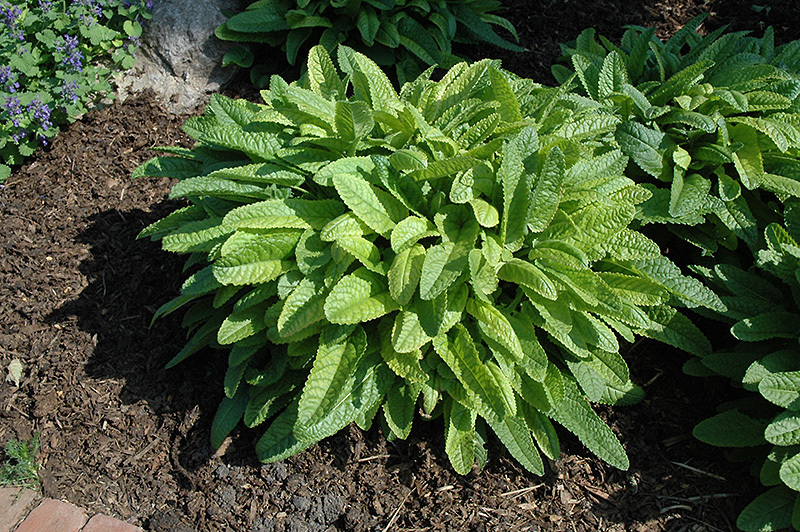 ‘Hummelo’ forms large, mounded clumps of crisp green (non-fuzzy and somewhat crinkled) foliage. 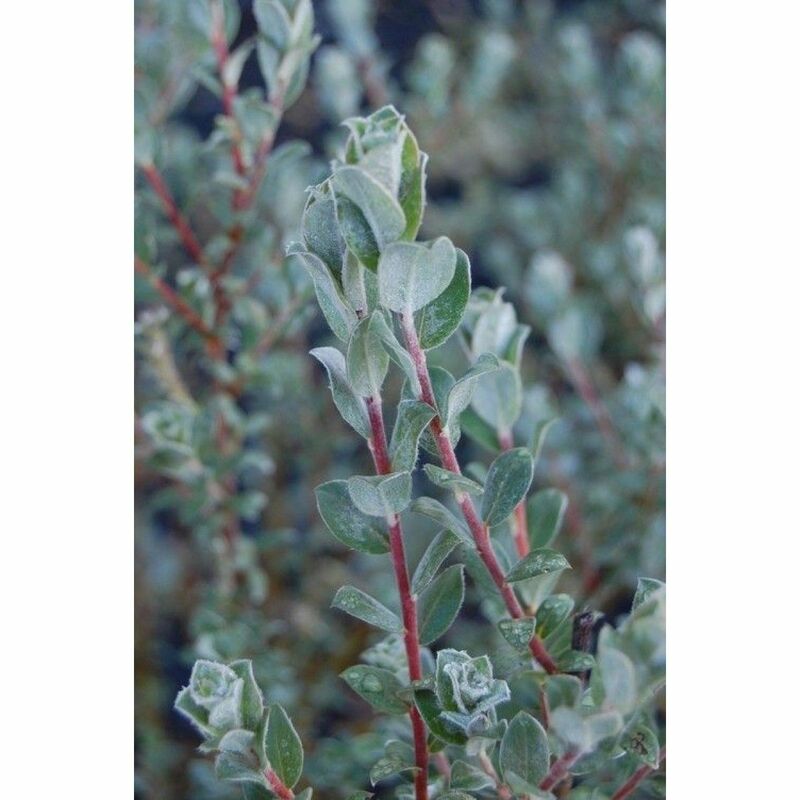 Its foliage is attractive when its not in bloom, but not as showy as that of Stachys byzantina. 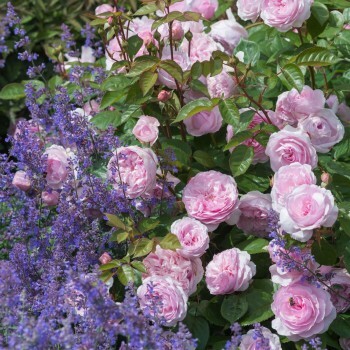 The real show comes in early to mid-summer, when sturdy spikes of lavender-rose flowers shoot up through the foliage, putting on quite a display. 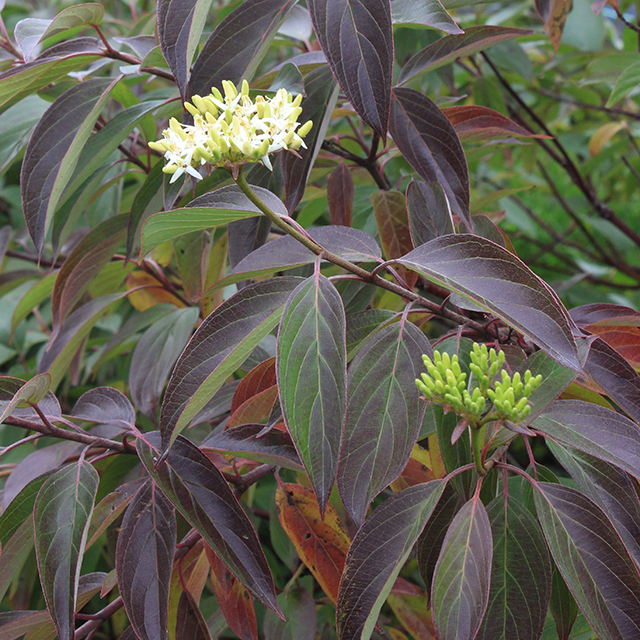 Though this plant might be relatively unknown to many gardeners, it makes a unique addition to any sunny border. 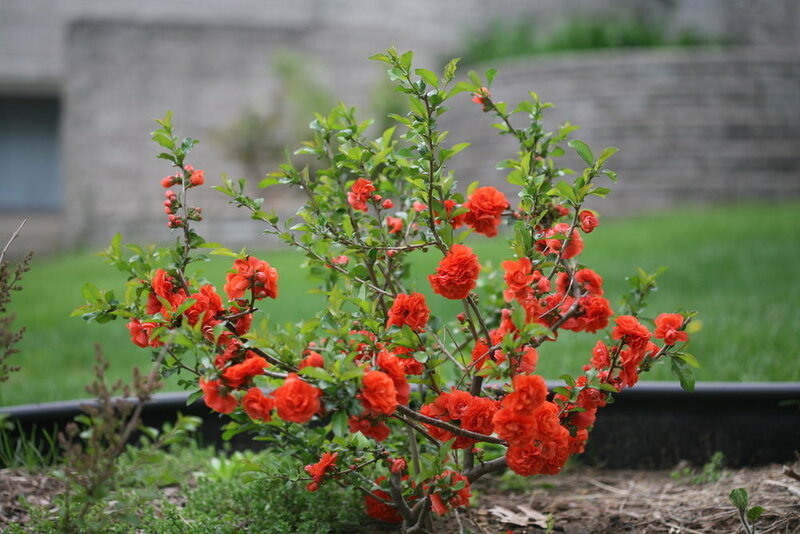 Once you try it, you'll see that it goes with just about everything else in the garden. 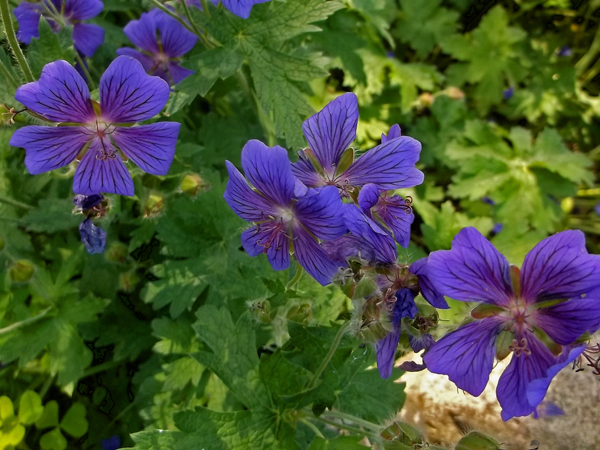 It is very easy to grow, and its flowers attract bees and other pollinators. 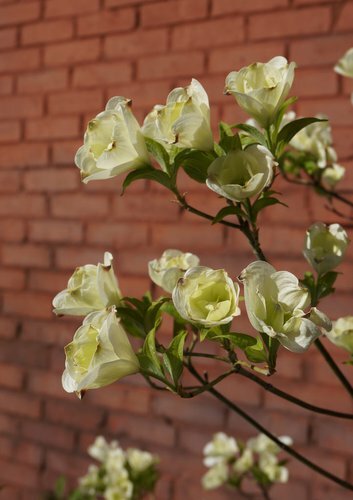 Removing faded flowers will encourage more buds to form for weeks on end. 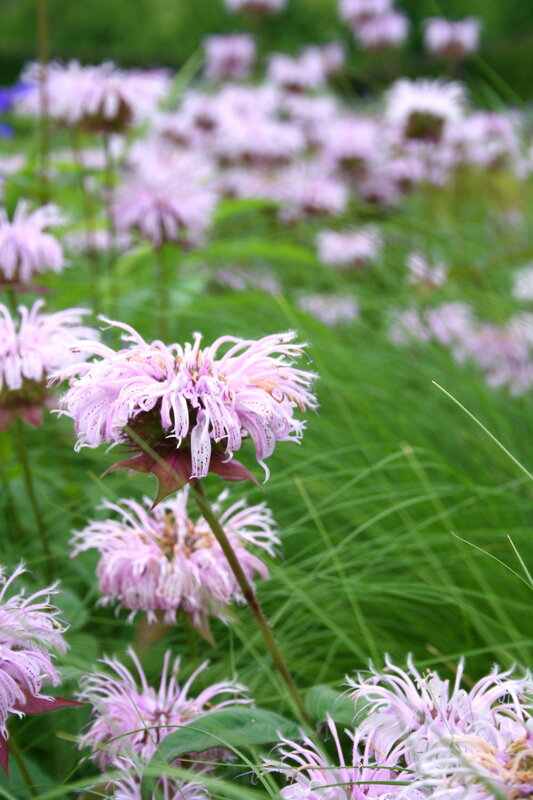 ‘Hummelo’ is an interesting and unusual perennial for near the front of the border. 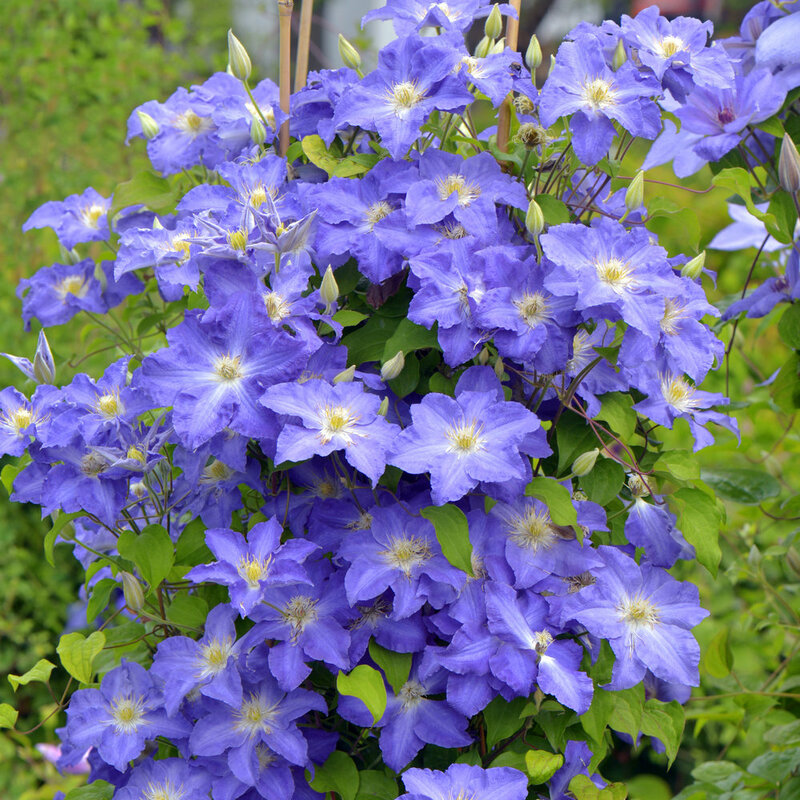 Plants may be clipped back hard immediately after blooming, to tidy up the clumps for the rest of the season. Easily divided in early spring. 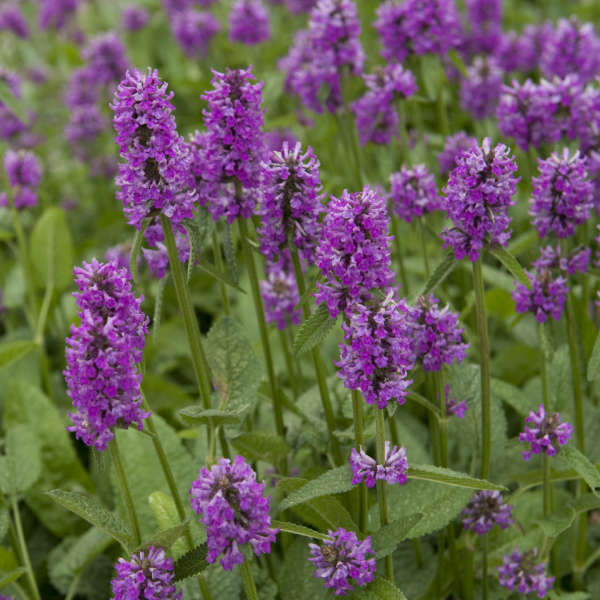 Stachys m. 'Hummelo' received the highest rating out of 22 Stachys studied in the Plant Evaluation Trials at the Chicago Botanic Garden. The trial was run from 1998-2004 by Richard G. Hawke. Both Stachys byzantina 'Helene von Stein' (aka 'Big Ears') and 'Silver Carpet' also received very high scores. Perhaps best of all, this cultivar came from Piet Oudolf’s garden and is one of his much-used favorites that you’ve seen many times in pictures and probably wondered: what is that pink flowering plant??! Here are the two different Stachys species side-by-side (S. byzantina on top and S. monieri below) - you can definitely see the similarities! Firespire Musclewood Carpinus caroliniana 'J.N. Upright' American hornbeam This cultivar is a small, narrow upright tree that grows to about 15' tall and 10' wide at maturity. 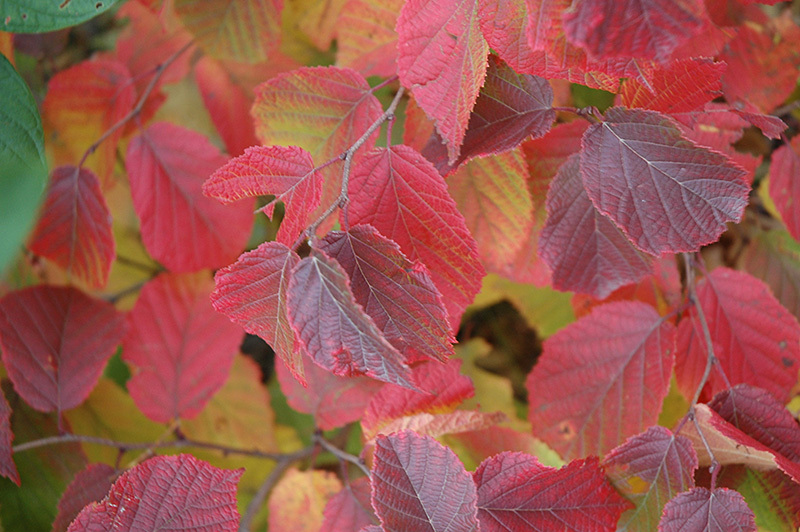 It develops consistent red-orange fall foliage color and is grown in either clump or tree form. 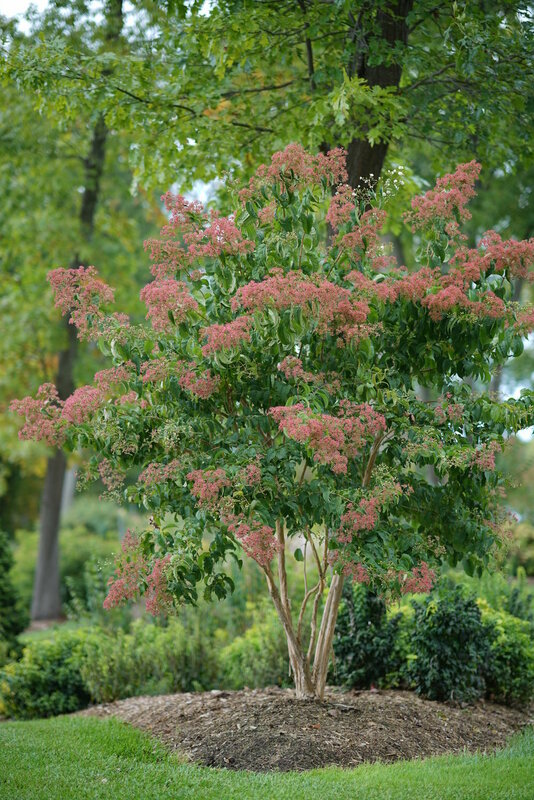 The Cary Award for "Plants of exceptional beauty and durability that are well suited for the New England climate"
Bottlebrush buckeye (Aesculus parviflora) - This native shrub is well-suited to woodland edges and shrub borders. 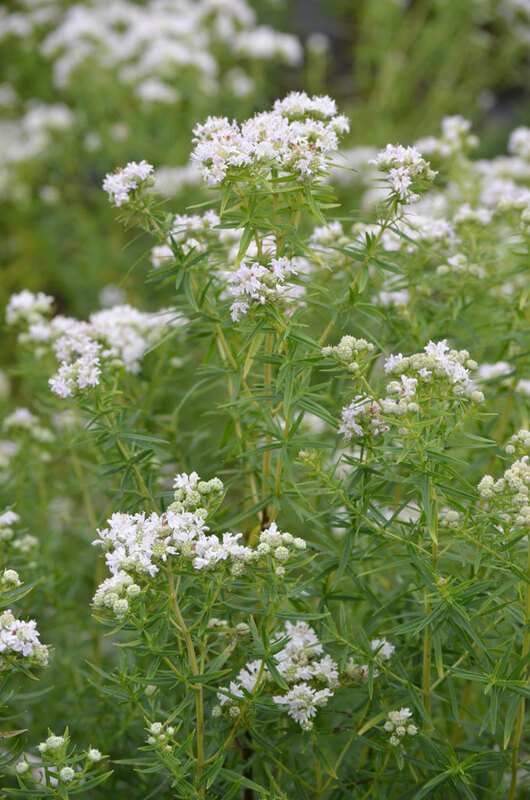 It flowers in mid-July with upright panicles of tubular white flowers, and puts on a welcome show in the doldrums of July. It prefers full sun and forms colonies by suckering - give it enough space to form a big colony (free plants!). Its great for pollinators. 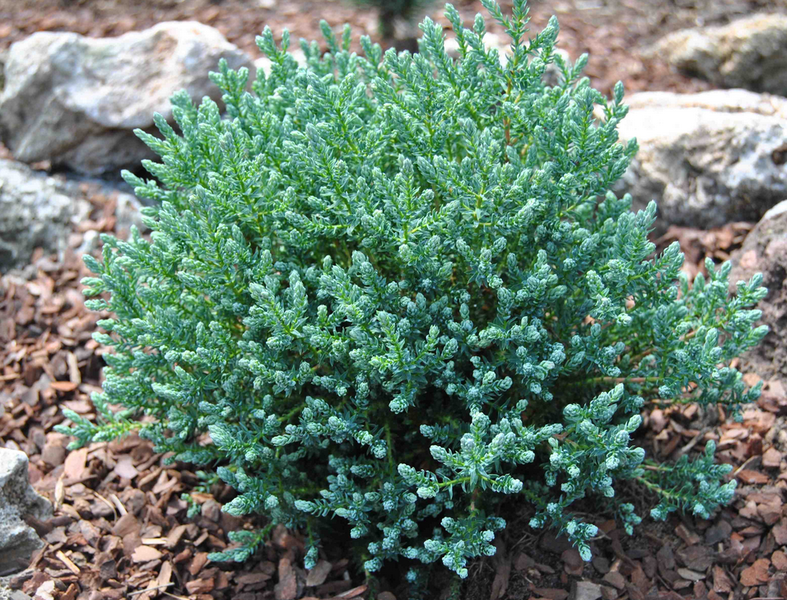 Atlantic white cedar (Chamaecyparis thyoides) - described in the award language as having "elegant blue-green foliage, beautiful winter presence and decay-resistant wood". It needs full sun and doesn't mind moist soil. 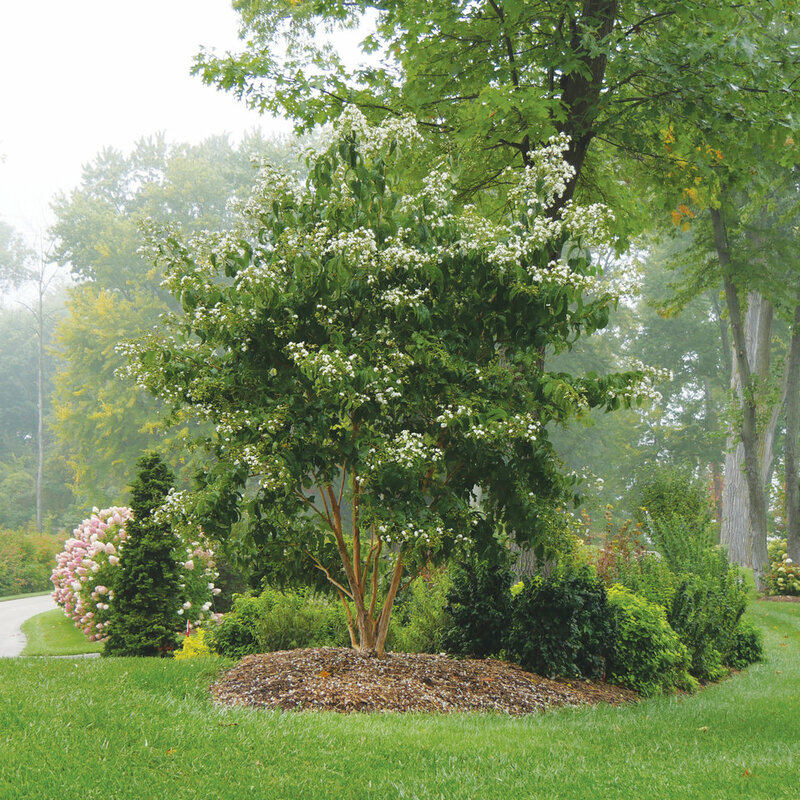 The Cary award folks think that having so many cultivars gives us lots of form and foliage options. 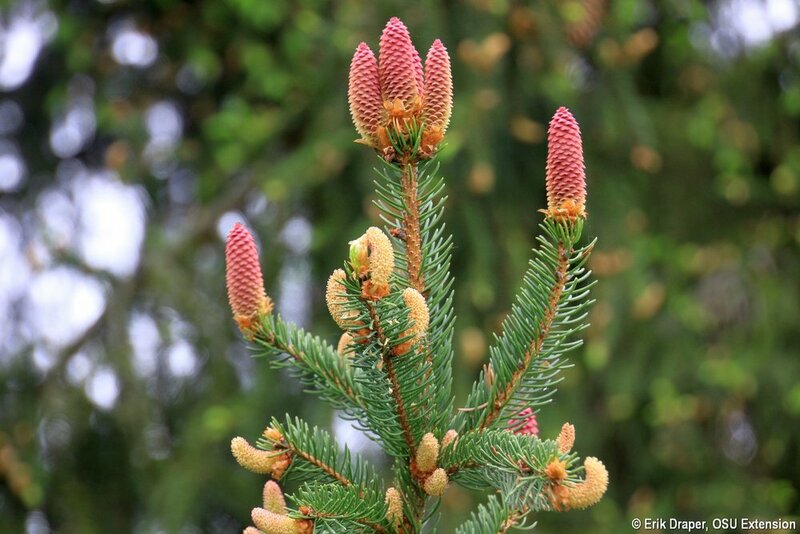 BUT, I have to say I disagree with the notion that Chamaecyparis thyoides is a "plant of exceptional beauty" unless you are really fond of the "bronze winter foliage" look. I concede that in a "naturalistic" setting it could look, well, natural. But up close and personal, your clients will think it is dead during the winter. 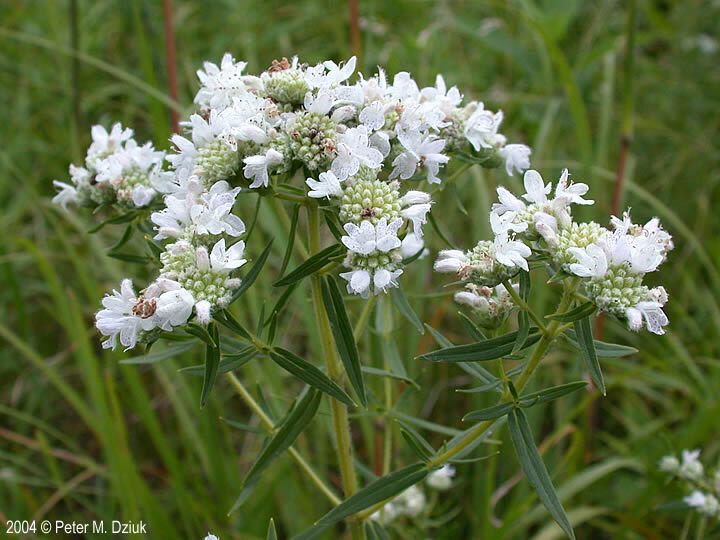 GreatPlants program (Nebraska) aims to "bring superior native plants to the challenged gardens of the Great Plains". 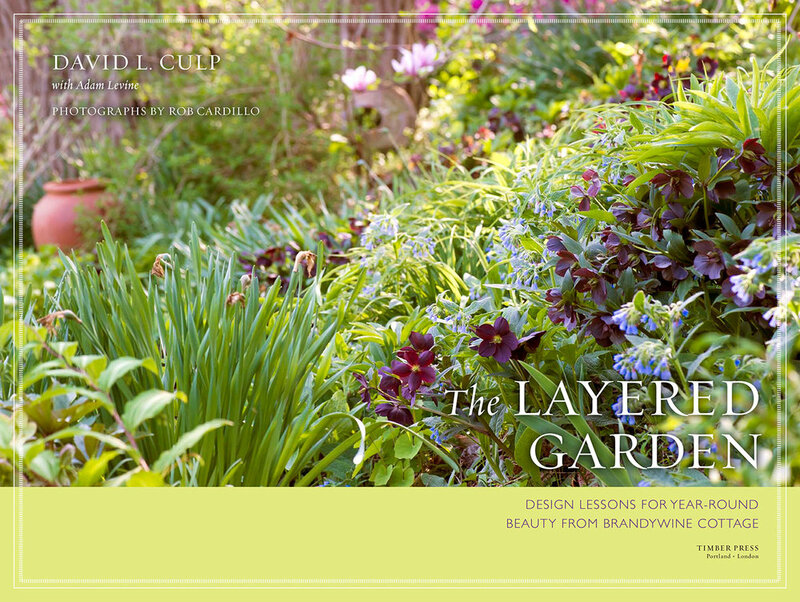 Their choices add beauty to the garden, and also offer ecosystem services. 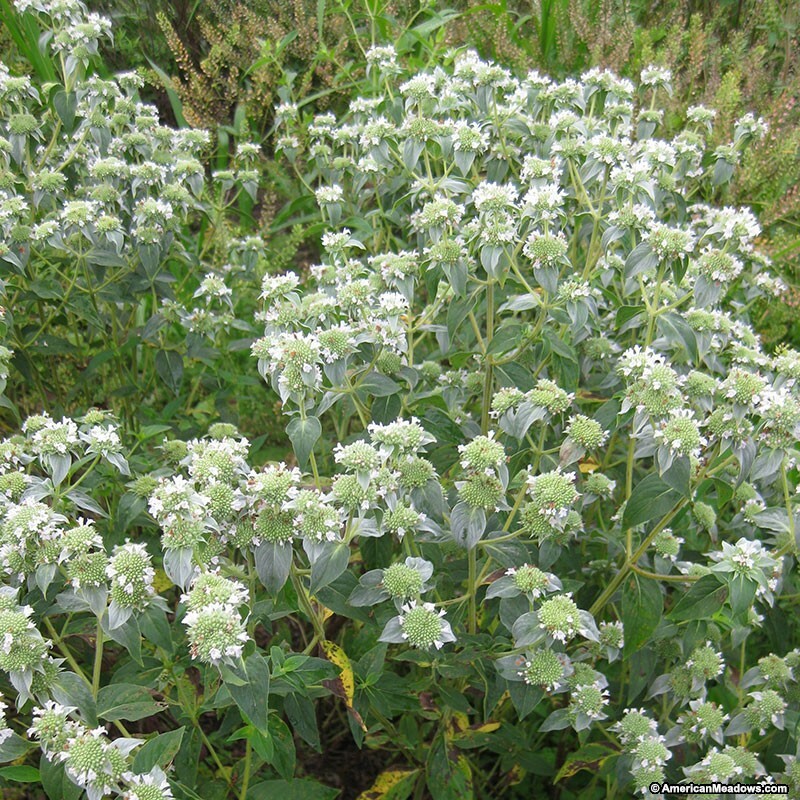 Virginia mountain mint (Pycnanthemum viginianum) was chosen as Perennial of the Year for 2018. 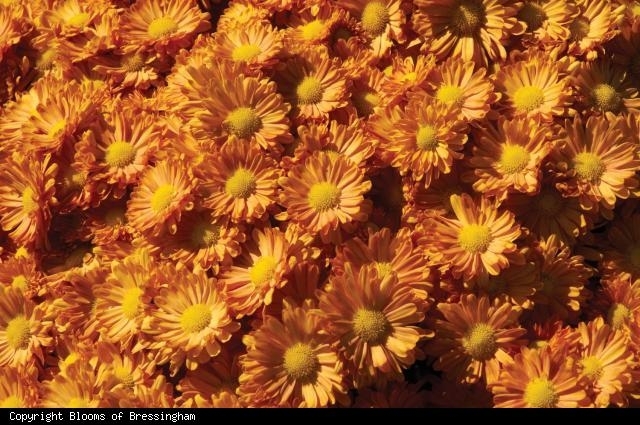 Described as "a stout, bushy perennial" it grows 3 ft tall and is topped with flat clusters of flowers with tiny purple spots in July and August. 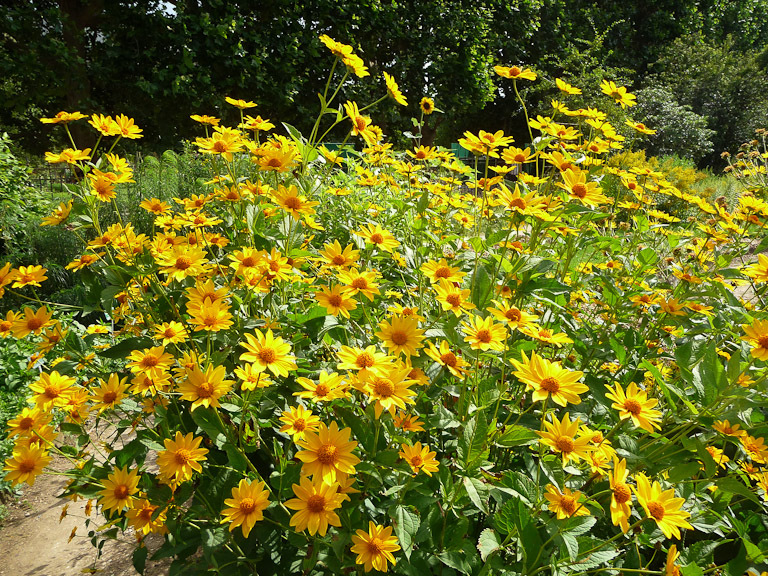 It grows in full sun to part shade and tops most pollinator-friendly plant lists. 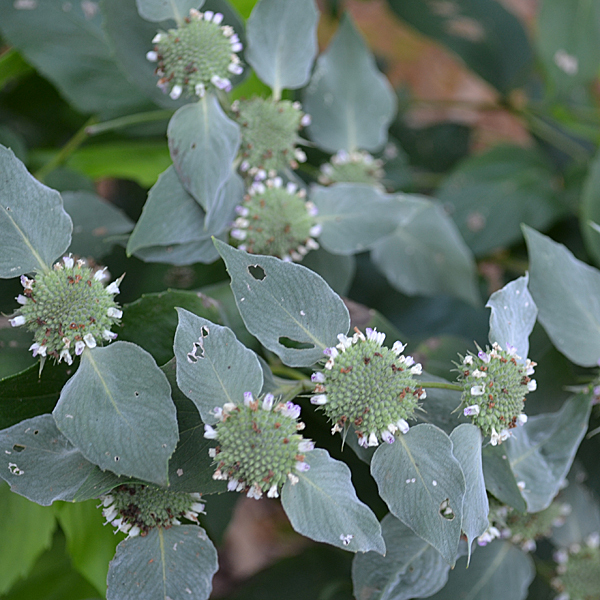 Pycnanthemum muticum (Short-toothed Mountain Mint) is not to be confused with Virginia Mountain Mint! They look quite different - either one can be used but just make sure you know which one you're choosing. 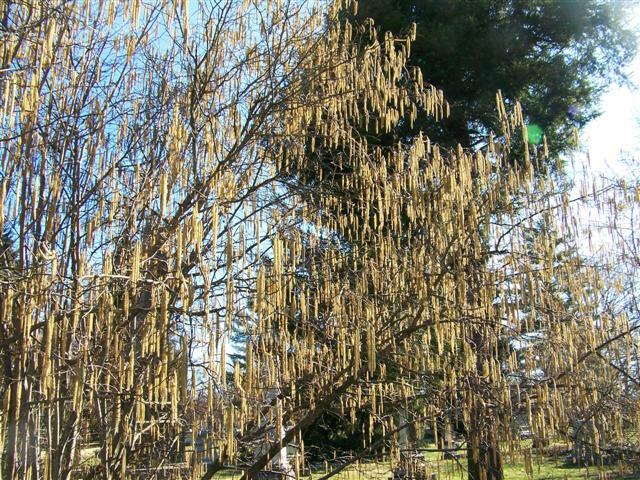 American hazelnut (Corylus americana) was chosen Shrub of the Year. 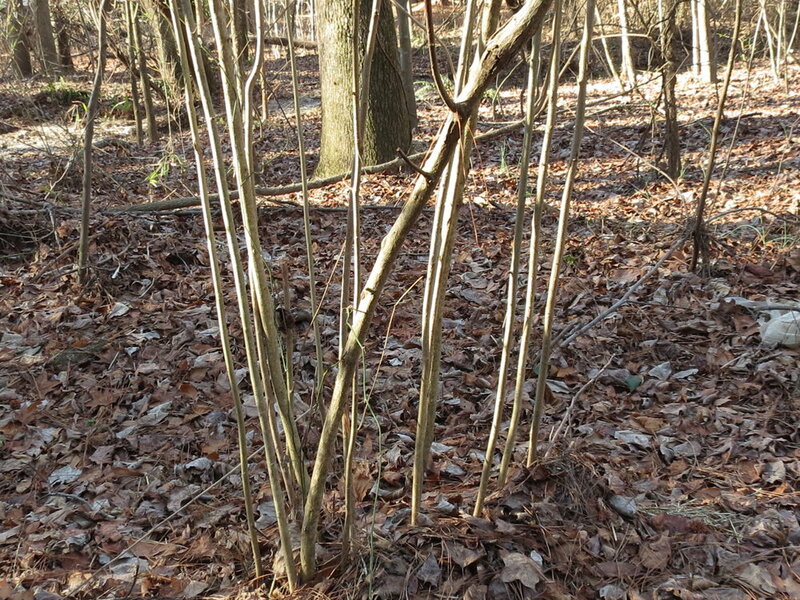 It grows to about 10-16 ft with a rounded, multistemmed habit. 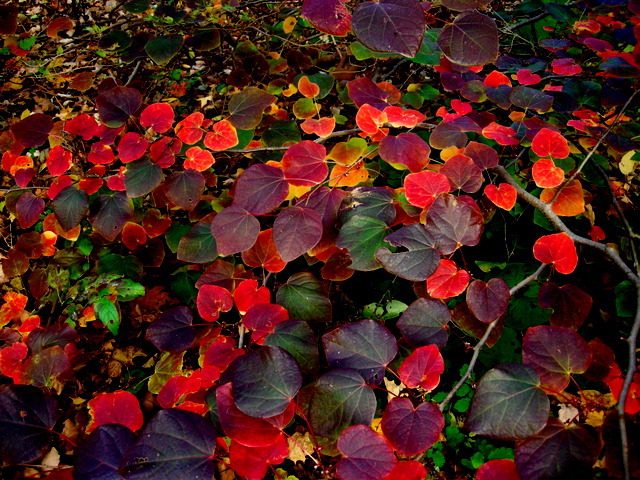 It forms thickets and is usually found at the edge of the woodland. 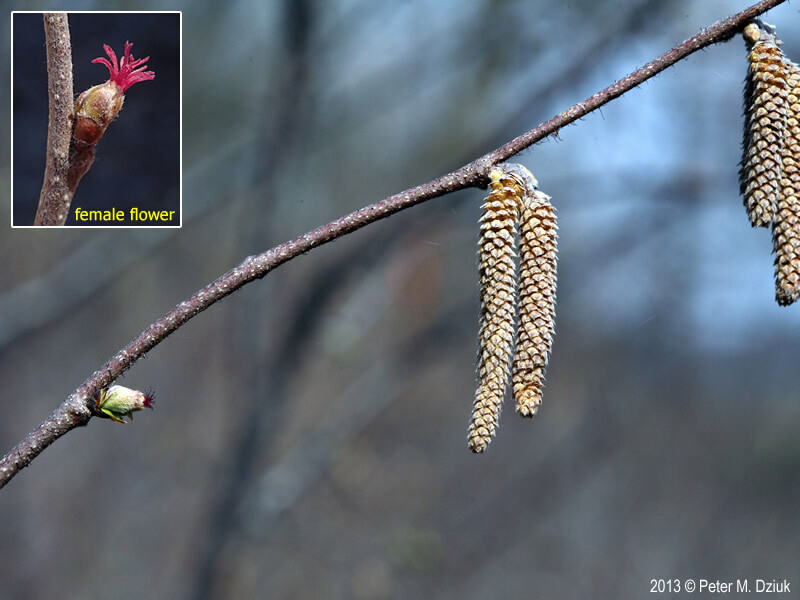 It bears hazelnuts (filberts) beloved by wildlife, and can show a rainbow of fall foliage colors - combinations of orange, purplish-red, yellow and green. 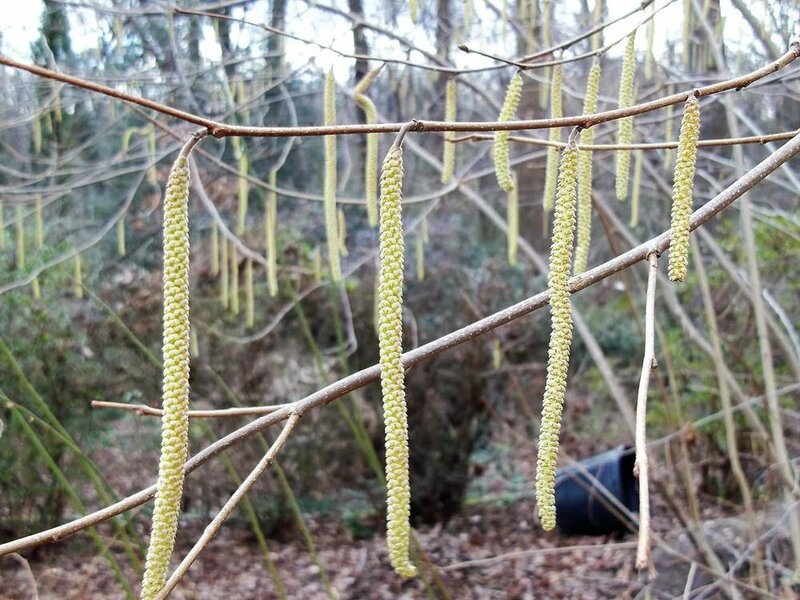 Its catkins are an excellent pollen source for bees in the early spring and it's a host plant for numerous butterfly and moth species. 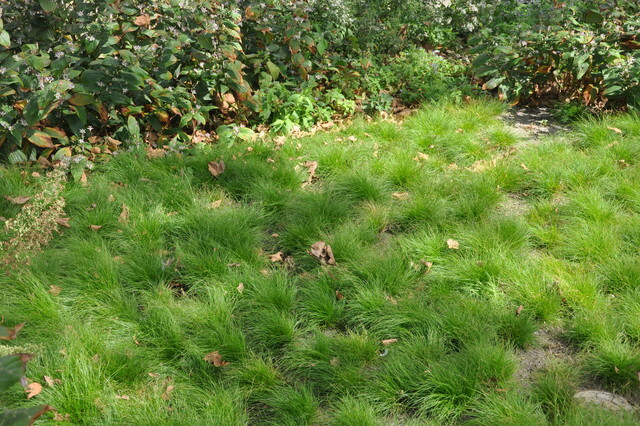 Bristleleaf Sedge (Carex eburnea) was chosen Grass of the Year. Soft, threadlike leaves form dense tufts approximately 6 in tall and wide. 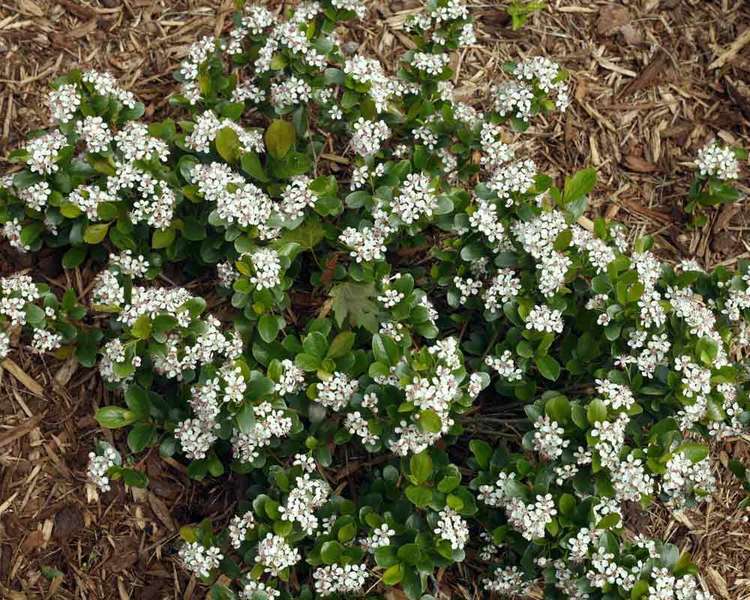 It spreads slowly, but forms a hardy ground cover that doesn't have to be cut back in spring. 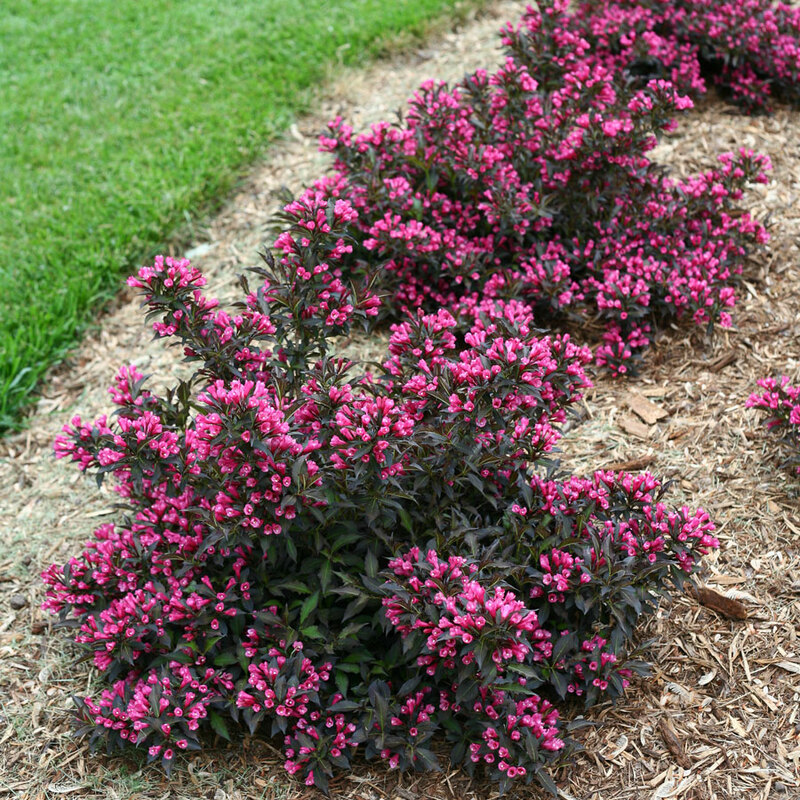 Very useful for erosion control on slopes, as a living mulch in planted borders or in shade gardens to crowd out weeds. And last but certainly not least: Perennial Plant of the Year for 2018 as awarded by the Perennial Plant Association: Allium 'Millenium'. 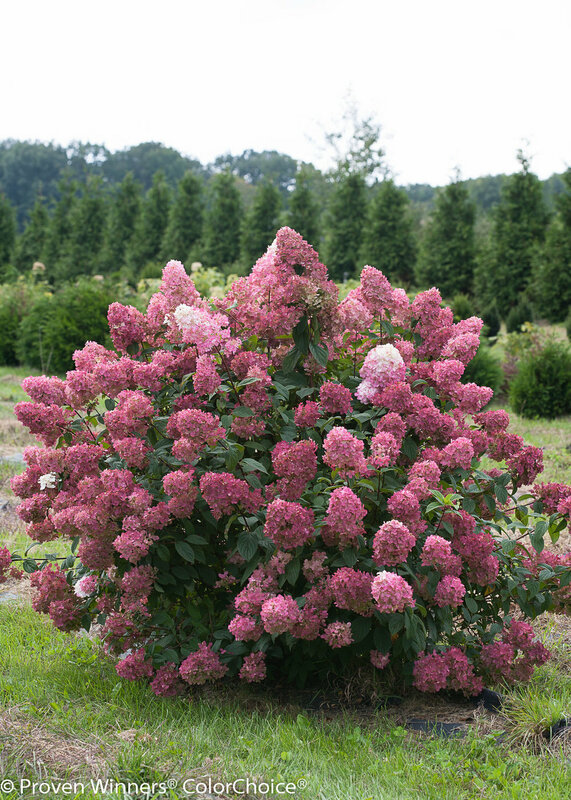 'Millennium' grows to about a foot tall and wide and blooms profusely in mid-summer. Bees and butterflies are drawn to the flowers, but deer and bunnies stay away. 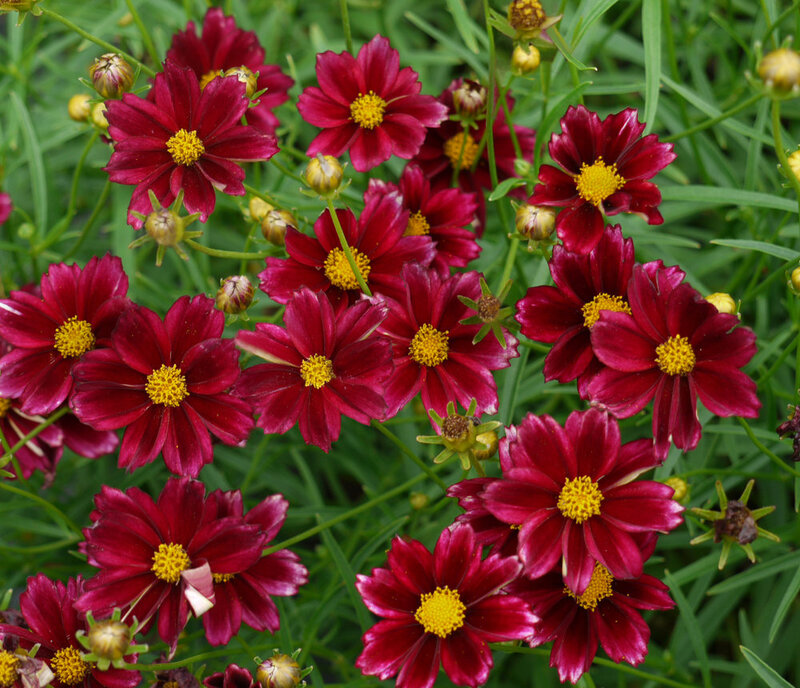 Since it's a sterile variety, it doesn't spread through the garden by seed, and is very long-blooming (no need to set seed!). Propagate it by division in the spring. 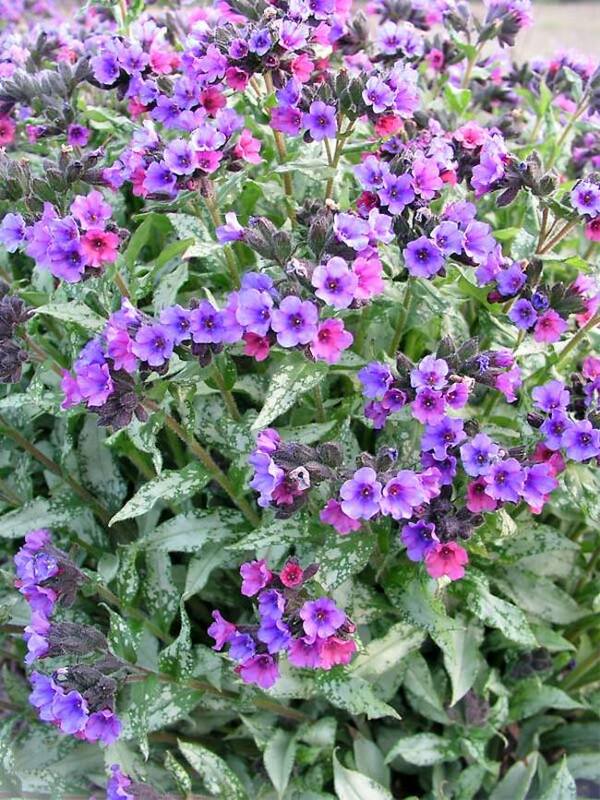 Sun or shade, dry or medium soil (not wet!). Needless to say, its a favorite of Roy Diblik - that means its a favorite of mine as well. I've started using it in most gardens, and it definitely "shares the space unselfishly". So make sure you cherish your network of friends and colleagues and meet up with them in person regularly. 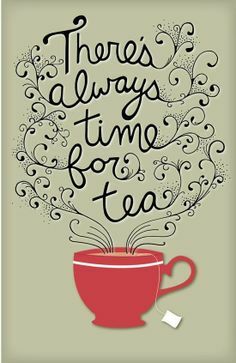 It can be at the Mamaroneck Public Library for a coffee break during the work day, lunch, or a visit to a public garden on the weekend. Don’t hesitate to share designs, problems and ideas – its not a competition. Designs are better when they’re talked through – show someone else the design or meet them at the site and brainstorm over the latte that you bring them. Also make sure you take the time to talk to the people at the nurseries. 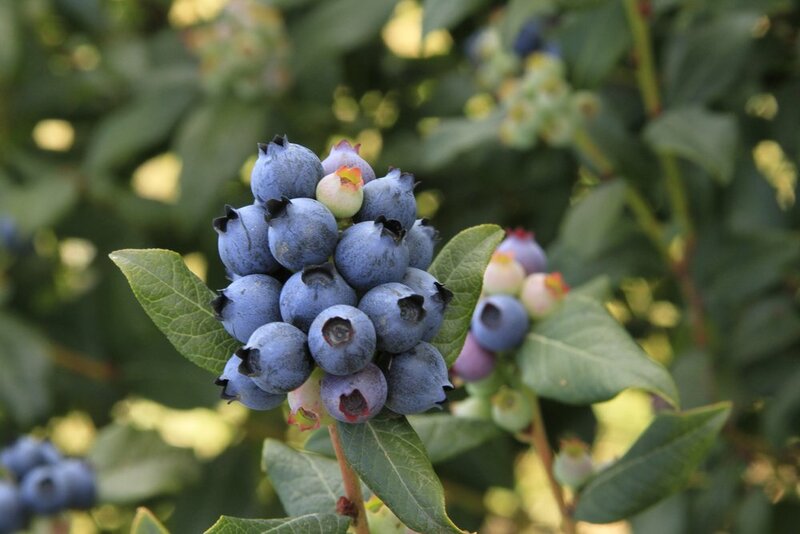 Ask about new plants, their favorite plants, why they like a certain cultivar, what they know about a tree, how the growing season has been affected by the weather – just make a connection. But of course you can’t really do it all, so you’ll probably outsource. You may be able to barter if you’re a fairly small operation – trade planting seasonal containers for a tutorial in Quickbooks. The only thing you can be is yourself – if you play to your strengths you’ll be the most effective and the least frustrated. This is especially true about the contractors you use. Its not worth hitching your wagon to someone who doesn’t share your standards or doesn’t know what they’re doing. Cutting corners really doesn’t work in the long run. And I would add to that, being good at what you do will pay off in the long run. That means never stop learning. Luckily for us landscapes are a long-lasting work product that can continue to evolve and be tweaked (and be learned from!) over time.